Good Friday came to be? ‘Abstinence from meat on Fridays is actually a rule laid out by the Vatican and remains in force today. Many Christians, especially Catholics, refrain from eating meat on Friday, and this tradition is most popular on Good Friday. Jesus was executed on Good Friday and died for our sins, sacrificing his flesh for us. Originally a religious tradition, this seems to have made it’s way into our Easter celebrations in the UK and one which many follow, religious or not. - Shape into desired 65g patties then place in fridge to firm for later. Mix together and place into a squeezy bottle or piping bag. Mix ingredients together in a bowl and set aside. - Pan fry fish cake either side to get a golden colour, place into oven for 8 mins. - Place carrot slaw onto the plate, and pipe mayonnaise next to it. 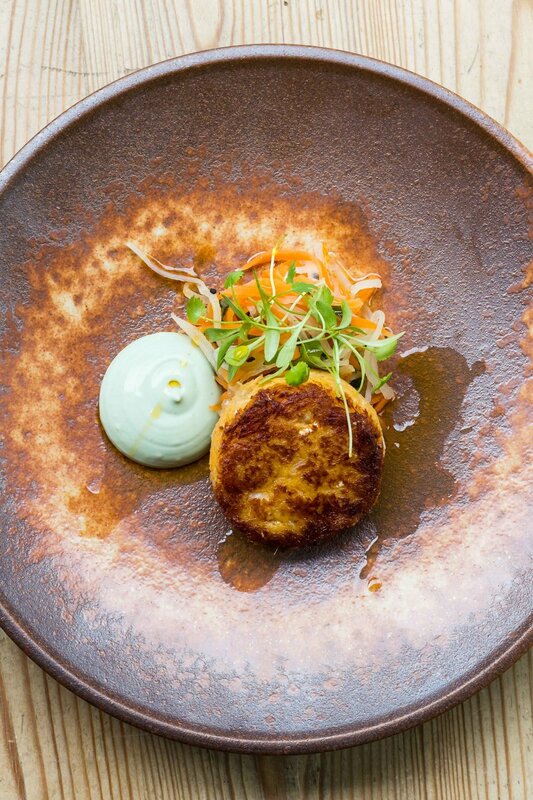 - Once fishcake is cooked, place on to plate, garnish with chilli oil and coriander cress. Not only have we got this delicious treat to try but CDC have also provided us with one more recipe to gather the family together around the table this Easter Sunday. Pre-heat the oven to 180°C/160 °C Fan/Gas Mark 4. Push the ring cutter into the potato cutting it at both sides to form a circle. Pan fry lightly on either side in a knob of butter and place into a small, deep oven tray. Melt the rest of the butter and pour over the potatoes. Season, cover with foil and cook in the oven for 1 hour. To test, poke a small knife through the potato - it should feel like a soft packet of butter. Remove the fondants from the butter and drain. Set to one side for later. In a pan bring the vinegar, sugar and wine to the boil. Set aside to cool whilst cleaning and preparing the mushrooms. Fry the mushrooms in a little oil for 1-2 minutes then add to the pickling liquor. Leave to pickle for at least 1 hour. Place the beef stock into a sauce pan and reduce by one third. Add the red wine, port and red currant jelly. Leave to simmer for around 45 minutes or until the sauce coats the back of the spoon. Set aside for later. Peel and thinly slice the parsnips. In a saucepan cover the parnsips with water, add a pinch of salt and simmer for 20 minutes. Once soft drain off the water and add the double cream. Return to the heat and bring to a simmer. Then whizz it in a blender until smooth. Pass through a fine sieve and set aside for later. In a pan bring the sugar, water and juniper berries to a simmer. Peel the pears and cook them in the syrup for 15 minutes. They should still have a little resistance. Once cool cut in half and brown them in a pan with a knob of butter. Set aside. Pre-heat the oven to 200°C/180 °C Fan/Gas Mark 6. Place the fondant and pear in the oven. Season the lamb. Crush the garlic and thyme. Heat a frying pan and sear the lamb for 2-3 minutes. Turn over, add the garlic, thyme and a knob of butter. Fry for 2 more minutes. Finish the lamb in the oven for 4-6 minutes, then cut into steak slices. Meanwhile, wilt the spinach in a pan, drain the mushrooms and warm up the parnsip purée and port sauce. Arrange all the elements elegantly on the plate. Thanks to the team at CDC for providing these delish dishes! 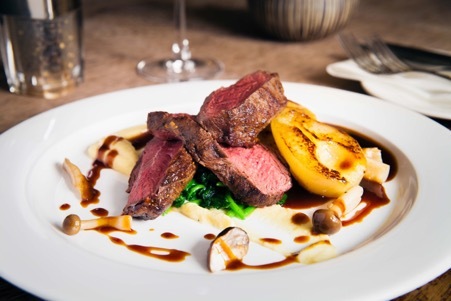 If you would rather go out to eat this Easter, you could always visit one of the teams many restaurants in the Cambridgeshire area. 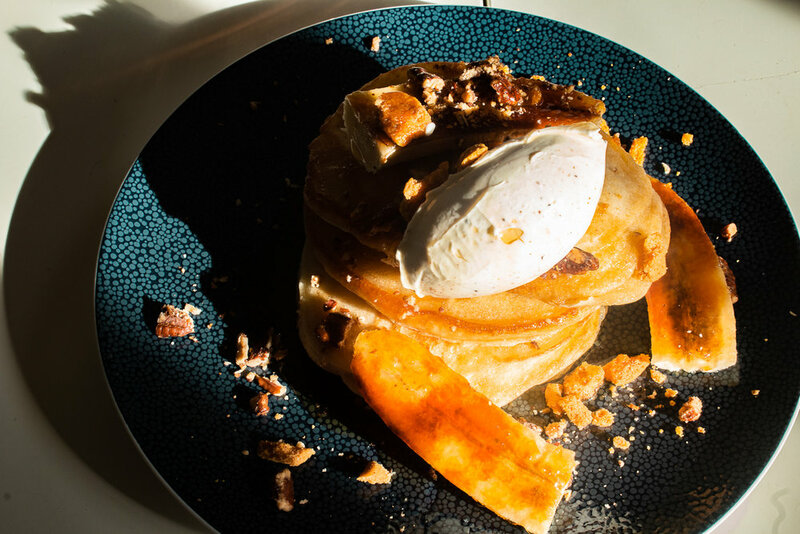 Hit the link below to see what restaurants are under their ownership… and check out the Easter Pudding Night taking place tonight and tomorrow night at The Crown & Punchbowl… YUM! DISCOVER NEW CUISINE IN OUR REGION! With a variety of different wedding and events taking place under our timber beams, we see our fair share of stunning florals making their way through the barns. As pops of colours and textures begin to emerge around our grounds, we wanted to take a closer look at some of the flowers which are at their prime during this season and the different ways they can be utilised at your spring nuptials or event… which ones are your favourite??? Hi my name is Gill! I am a mother of three and a grandmother of six. How long have you been trading and how has the company grown? I have been trading for 8 years now and I have to say it was a little bit of luck that kick started Coversbygill. A good friend of mine who was working as a Wedding Coordinator at a venue in town, asked to see what I had with the thought that if it was good enough, we could become a recommended supplier. As I only buy the best stock, it came down to me to show I could do the job…. I can happily say that after 8 years I still am on the supplier list for this venue! What’s the best thing about your job and what you do? If you could give a piece of advice to a couple planning their wedding, what would it be? Always meet with your suppliers and be strong about what you want. Keep to your budget and remember that sometimes less is more! How do you feel about being a recommended supplier with us? What type of things have you done at the barns? 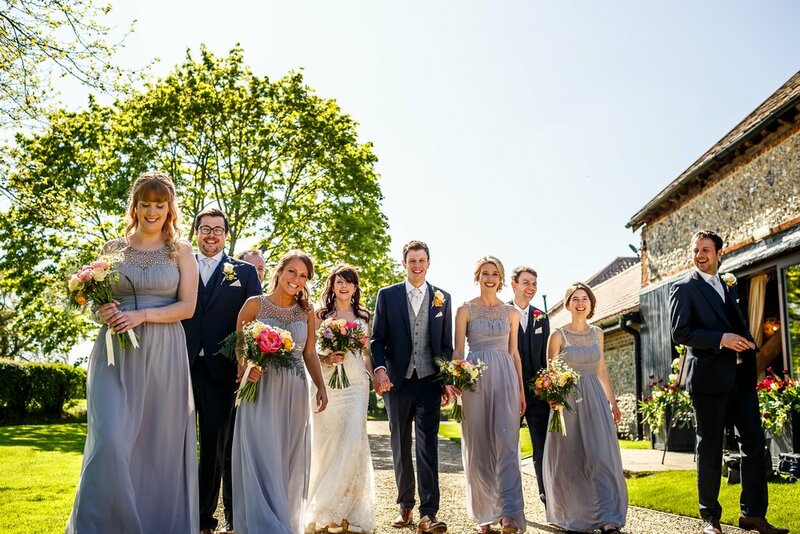 I am delighted to be a supplier for the barns because it is one of the most prestigious venues in our area. With such a beautiful setting, the photos always look fab which is great for Coversbygill. The staff are so accommodating and helpful, often assisting whilst we are there. How could you help with alternative events such as corporate seminars/exhibitions etc.? Coversbygill also supplies different colour table cloths, as well as chair covers, so if your event needs a little something different, we can provide those extra touches. Some corporate events also love to have the company colours integrated in to their set up which we also accommodate with chair bands and cloths etc. 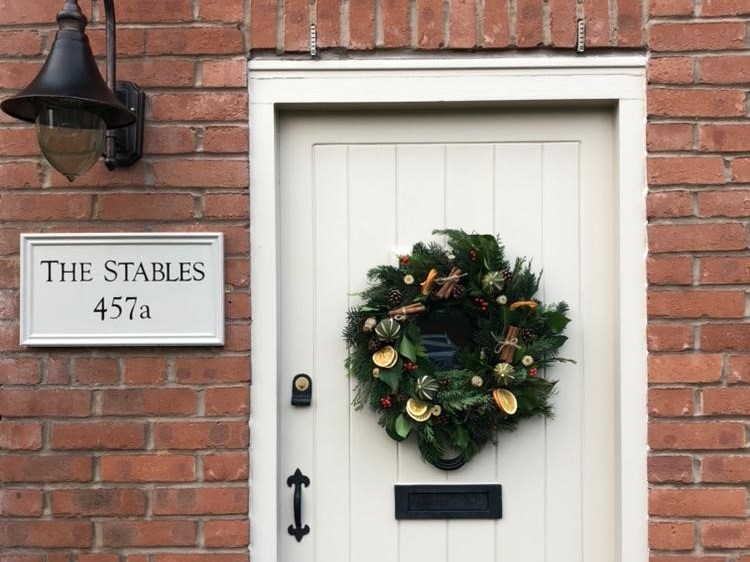 We repeatedly provide racing colours for events in and around the horse racing town of Newmarket which is just a few miles from the Granary Estates. What areas of the business have changed since you started? What trends do you see making their way through this year? Coversbygill’s main business is chair styling and so the biggest change I have seen in recent years is the introduction of the chavari chair. At first this seemed a bit of a negative thing for us, mainly as these chairs are stunning on their own and don’t have a need to be covered, therefore making our services redundant. However, luckily for us, the beautiful vertical chiffon drops and soft sashes were introduced by our suppliers which enabled us to bring something else in to the industry. We still continue with the event chairs however which always need a full cover as well. What is/are your favourite colour/colours to work with? I love working with ivory as it always looks so chic. Navy and pink are timeless and I really love it when a little bit of sparkle or green foliage is added to the equation. When I first started Cadbury Purple was king, but I haven’t seen it for a long time now. Lilac is pretty, and Hessian and lace give a lovely rustic theme. I see the vision of my brides and as long as we meet that I am happy! On the down side tying Hessian is a task but good for the muscles! What have you got lined up for the rest of 2019? 2019 is going to be a great year for the chiffon vertical or horizontal drops as new colours are coming out all the time. We are busy with lots of weddings in the spring/summer, with lots of Christmas parties in the Autumn and Winter. We also have a lot of Christmas and New Year weddings coming up. 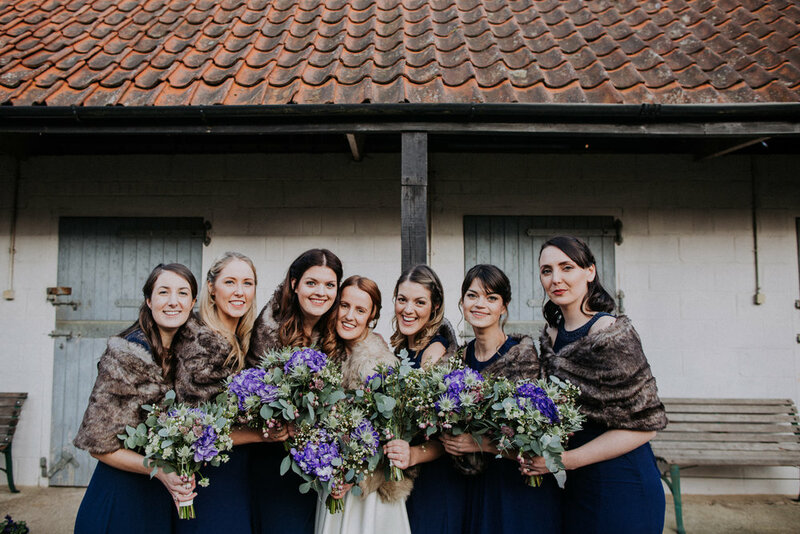 Who doesn’t love a Winter wedding?! To see more images and the array of options on offer with Coversbygill, take a look at the company Facebook page by clicking HERE! Wedding Traditions: Where did they come from? Have you ever wondered where this rhyme originated? Or why we throw confetti? Or wear a veil…? 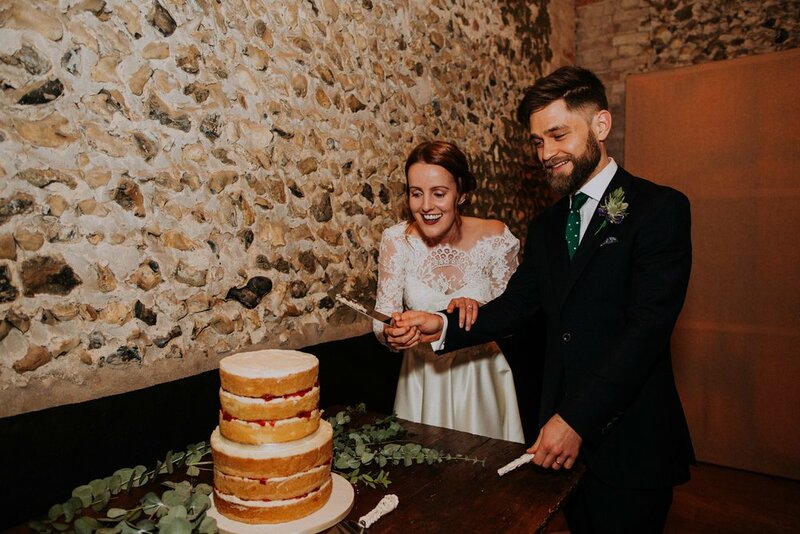 We’ve researched some of our most well known wedding traditions in the UK to find out where they came from and the significance they hold, even today. Wearing white on your wedding day has modern day connotations of purity, religion and virginity. 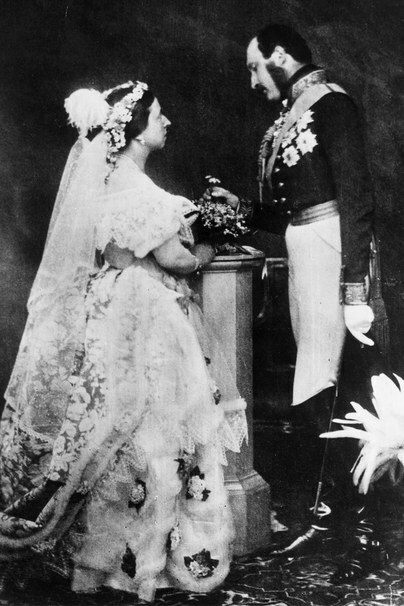 However, after some research we have found that the real reason white wedding dresses became so traditional was due to Queen Victoria and her wedding to Prince Albert in 1840. The Queen simply liked the colour (which only the wealthy could really afford in those times) and as a result it became the must have colour for wedding dresses! Victoria’s lace dress became a must have, with aristocratic families choosing the colour and material to display their wealth and status. Nothing to do with purity at all… interesting huh? Brides have always been seen as very good luck, and getting a piece of the wedding attire even more so. A medieval French tradition meant that immediately after they left the altar, brides were rushed by attendees wanting to tear off a bit of her gown for good fortune. The result? A bride in rags, and probably not too pleased. The garter version, just like the bouquet toss, was devised sometime in history as a way to keep the mob at bay and still let the bride remain fully clothed. We’re glad this has taken on much more of a fun and playful aspect of the day in recent years…! No ripping of dresses at The Granary please…! It turns out that veils first became popular in the Roman times when a red sheet, called a 'flammeum', was used to cover the bride from head-to-toe. This was supposed to make the bride look like she was on fire which, in turn, was intended to scare off any evil spirits looking to ruin her big day. 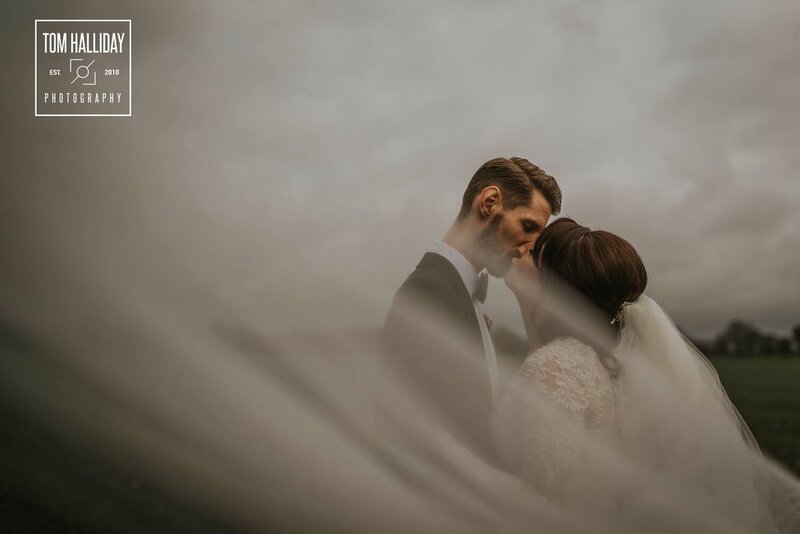 Over time, the veil became a method to disguise the bride from evil spirits and, of course, her husband who wasn't supposed to see his new wife until the deed was done. The un-veiling of the bride - done by the groom - was to symbolise that ownership has changed hands; from her father, to her husband. So whether or not you would choose to wear one, the veil has been around for many years and looks set to be around as a wedding accessory for many years to come. 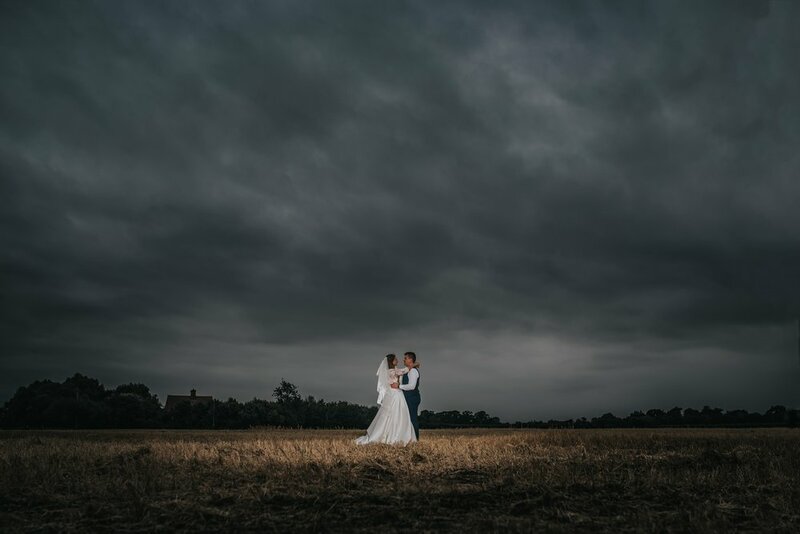 Originating from around the Victorian era, to have something ‘old’ on your person on your wedding day, was another method of keeping ‘evil spirits’ away. It would also signify continuity and hold a strong sentimental value. This would commonly be a piece of jewellery belonging to an older relation. Another well-loved item to use as ‘something old’ would be to wear the mother or grandmothers wedding dress - a very traditional and symbolic statement. The alternative is to borrow something from an already happily married couple whose borrowed possession may ‘rub off’ some good luck on to you! During the 18th and 19th centuries, this would even go as far as borrowing a female relatives undergarments to encourage fertility following the marriage - we’re not sure this is such a favoured tradition nowadays! The colour blue symbolises purity, love and faithfulness. This dates back to biblical times when the colour was used to represent these virtues. Traditionally the colour blue can be seen in a brides garter, a bouquet or in small details like a piece of jewellery, for example. The sixpence tradition began in the late 17th century as a part of the dowry gift to the groom. Wikipedia states ‘A dowry is a transfer of parental property, gifts or money at the marriage of a daughter”. As time and traditions have moved on, this has evolved and now a sixpence is used as a good luck charm by the bride and typically worn in the left shoe throughout the day. It symbolises wealth and happiness. WHICH SIDE SHOULD I SIT? Wedding lore tells us that hundreds of years ago, kidnappers would often capture and hurry off with the bride in order to steal her dowry. So, in order to ensure that the groom could keep his sword arm (the right) free, the bride stood on the other side (the left.) Today, in spite of the fact that the groom rarely wears a sword nor needs to fend off attackers, you'll almost always see the bride standing on the groom's left. It is also traditional for wedding guests to follow suit. Typically, the bride's guests and family sit on the left, while the groom's family and guests sit on the right. YOU CAN’T SEE HER BEFORE THE WEDDING! One such tradition that we take for granted today is the superstition that it is bad luck to see the bride on the wedding day. Now, we must ask ourselves: but why would it be bad luck to see the bride? Picture this: You're an Elizabethan-era father who scraped together enough goats and cows to make a compelling dowry for your teenage daughter, and you're this close to getting her married to the fella down the street. You've been negotiating with his family for months, and you've nearly got it in the bag. The last thing you would want is for the groom-to-be to catch a glimpse of your daughter the morning of the wedding and realise that—bless her heart—she's a homely thing. Why, if he saw her before the very second she arrived at the altar, he might run, and now wouldn't that be bad luck? Better to be safe than sorry—you have your daughter don a veil, too. Now there's no way he can make a quick getaway as she treks down the aisle. Phew! With all of the above aside, we do really enjoy this tradition in its modern form. To be present when the bride and groom, groom and groom or bride and bride see each other for the first time on the day is simply magical! And for this reason, we like this tradition and all of the excitement and anticipation it brings with it. LOVE! The tradition of throwing items such as rice, seeds, flowers and small sweets began many centuries back, with the more modern option of paper being adopted as the confetti of choice by the Victorians (it would hurt a lot less than getting rained on by candy or getting a bit of rice in the eye!). Now this one is quite straight forward. In times gone by, when people would only bathe a couple of times a year, a bouquet was carried on the wedding day in order to mask the smell and make the bride feel better. Even though our bathing habits are now far better and take place more regularly (hopefully), this tradition has stayed and we for one love it! 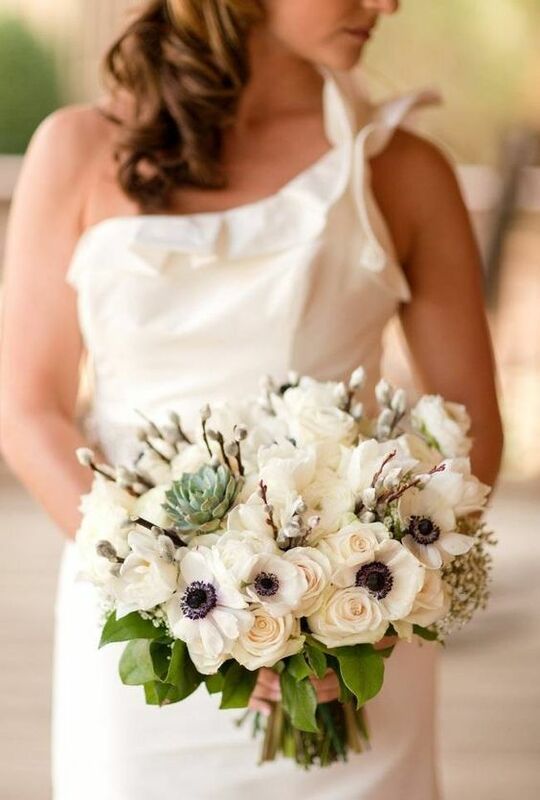 A bouquet is a great way to add a personal touch to your wedding day, add a pop of colour to your wedding photos as well as giving the bride (or groom) something to hold as they make their way down the aisle. It is a nerve-racking moment after all! The ancient Romans started it: the bride had to show that she was not at all crazy about leaving her father's home, and so was dragged over the threshold to her groom's house. Ancients also believed that evil spirits, in a last-ditch effort to curse the couple, hovered at the threshold of their new home, so the bride had to be lifted to ensure that the spirits couldn't enter her body through the soles of her feet. These days, it's just fun! We’re glad it’s all a bit of fun these days… no evil spirits please! So there you have it folks! Just a few of the popular wedding traditions that we are all familiar with in the UK. It’s just so interesting to look back at our history and understand the things which are still happening today after so many years! Are there other wedding or event related blogs you would like to see? Or topics that we could help you with via a blog? We are always happy to hear from you so please do get in touch if you have specific content you want us to take a look at! 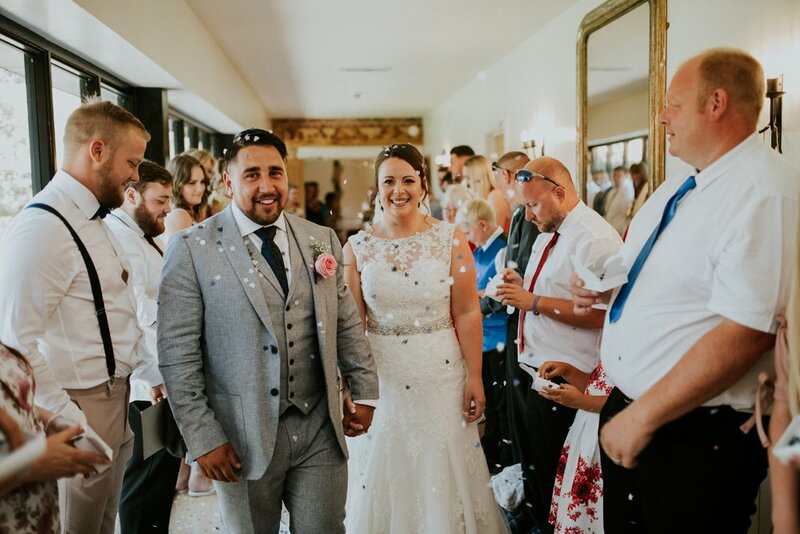 Let us transport you back to a warm summers day last July last year, when we had the pleasure of creating wonderful memories with our bride and groom, Finola and Calum. 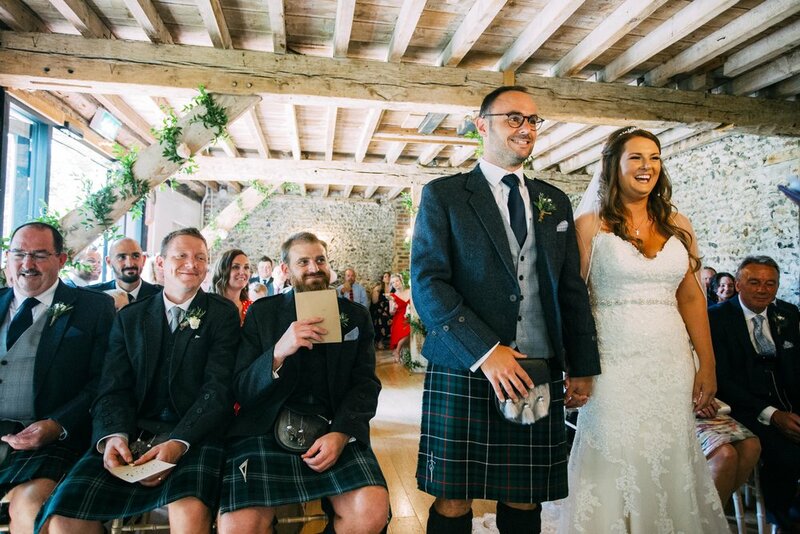 With flashes of tartan, gorgeous blooms from Clare Jones, hessian runners mixed with pale pink shades and a room full of family and friends, Mr & Mrs MacAulay had a wedding day dreams are made of! 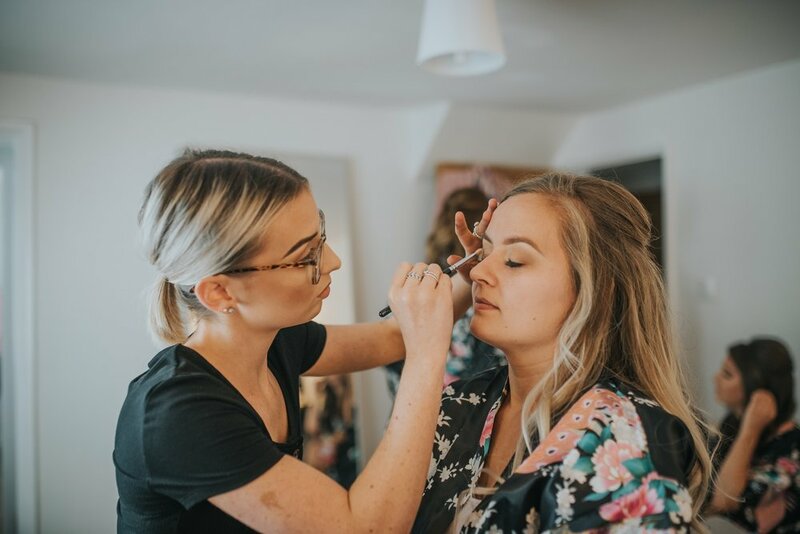 Scroll down to hear Finola’s thoughts on her special day, the planning stages and how you shouldn’t sweat the small stuff! Accompanied by a delightful selection of photos by the talented Liam Smith Photography, we hope you enjoy! I tried to keep an open mind and not overthink what kind of dress I wanted prior to going to any shops. I had heard people say that if you did, you would be disappointed. That the dream dress maybe wouldn’t quite fit the way you had always imagined or look quite right on you. I booked my first appointment for one sunny summer Saturday at Pure Brides in Norwich. I had no idea what kind of dress would suit my shape so found it hard to get started. The girls at Pure Brides helped pick out a few different designs to try on. The second dress I put on was a Sottero & Midgley dress. As I walked out to reveal it I caught a glimpse in the mirror across the room. From that point on a couldn’t wipe the smile off my face, my mum and twin sister were crying and I knew that we had found the dress. The crisp white embellished lace layered over a light gold material underneath really made the detail pop. It was perfect, and I looked no further - it really did make me feel so special. Calum had an easy decision. His family are Scottish, so he was always going to wear his kilt. 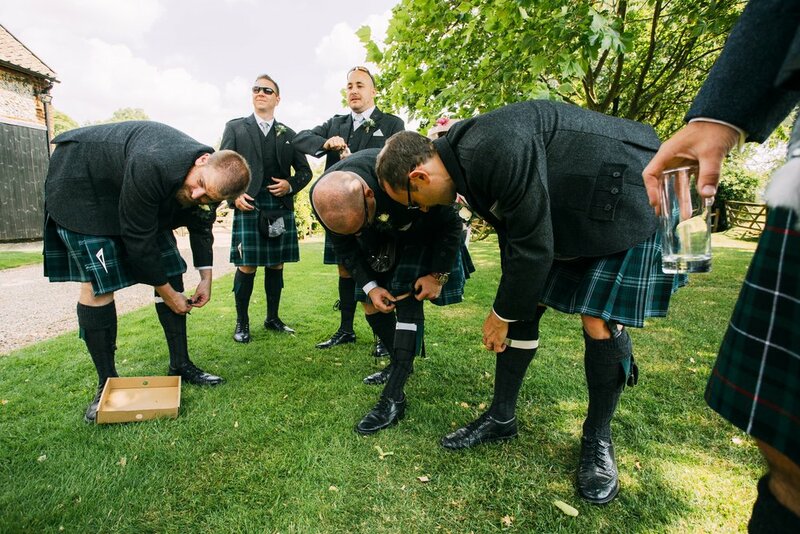 The groomsmen hired kilts with similar colours to the MacAulay Hunting tartan that Calum and his family were going to wear with blue waistcoats and grey tie. Calum wore a grey waistcoat with navy tie so that he would look slightly different to the rest of the boys. I found picking venues to view really difficult. 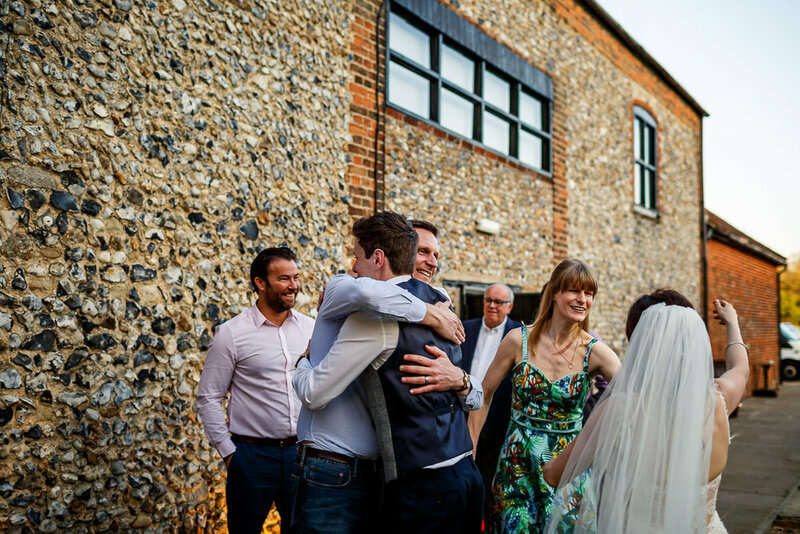 I felt like I had looked at every website of venues in East Anglia by the time we actually booked some appointments! During a week off work I just decided to pull the trigger and booked appointments for four different venues over the following couple of weeks. The Granary Estates was the first venue we looked at. We both liked the character and charm of the Flint Barn and how this seamlessly connected to the glass walkway that looks out on to the courtyard garden. I think the big moment was as we walked around the corner and saw the Granary Barn - I think both our jaws dropped to the floor! It was such an amazing space, with high ceilings, rustic beams, and an airy feel. We saw another couple of venues but kept comparing them back to the Granary Estates. There was always something that didn’t quite match up to the emotions we both got on that first visit to the Granary Estate; so the choice was obvious. Predictably, I had a Pinterest board full of ideas and themes that I had put together over the couple of months following our engagement. One theme stuck out as clearly being an overall favourite. 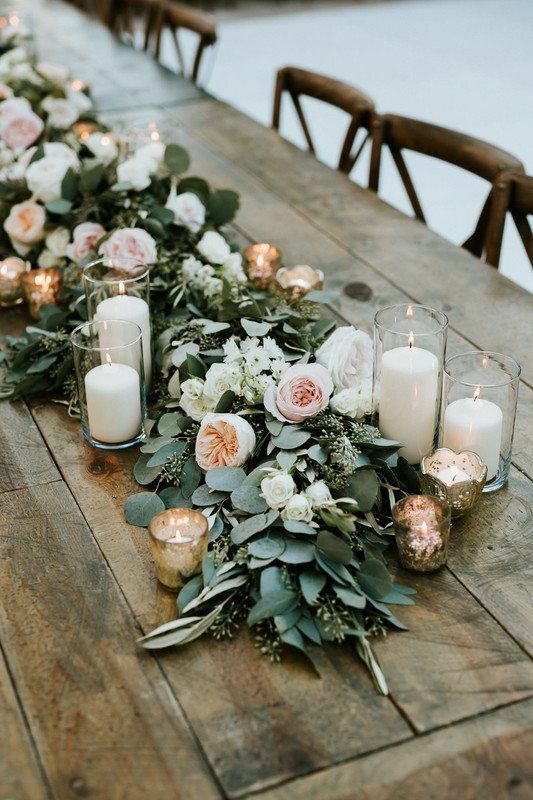 A mix of soft pinks and lavenders with touches of hessian and jute twine: the typical country rustic look. Hall & Co helped make this theme a reality with soft white drapes, fairy lights, and hessian table runners. 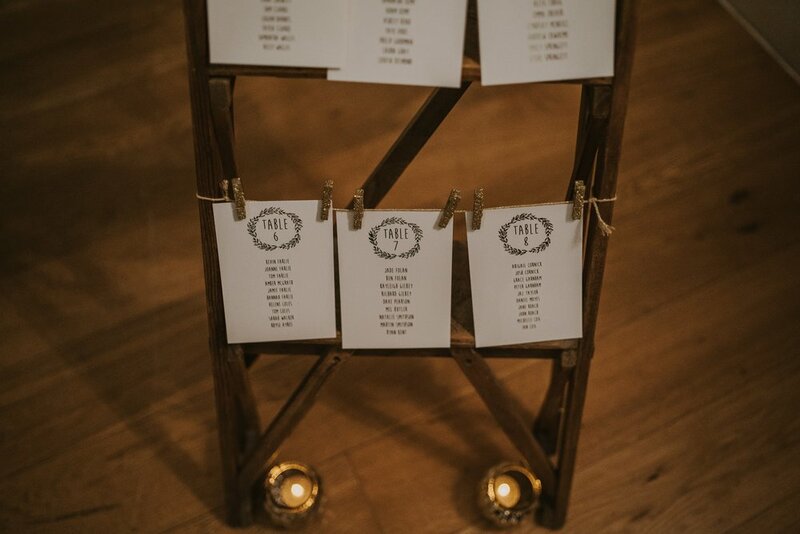 The Granary Estates prop shop had loads of items that compliment the barns perfectly including the tree stumps for the table centrepieces, the crates used to make a photo display, and the ladder for the table plan. I spent countless evenings gluing lace and twine to jars, printing invitations and stationary, and scouring Etsy to ensure everything matched perfectly. We wanted to add a personal touch and do something that would break the initial awkward small talk on tables where not everyone knew each other. Calum came up with the idea of adding two lines onto the back of everyone’s place name - the first stating how that person knows the newlyweds and a second with a funny comment or quote that would need explaining to the rest of the table. This was harder than we originally thought, but it was so worth it. As we sat down for dinner, we carefully watched as one by one friends and family found them and had to explain theirs to the table, some stories more embarrassing than others! Clare Jones is one of the recommended suppliers for The Granary Estates. I checked out her Instagram account and fell in love with some of her creations. I told her the colours I wanted, emailed some pictures of things I had found and left the rest up to her. I showed her a picture I had found on the Granary Estates website of some hanging flower spheres I liked, she laughed and said that the picture was actually of her own wedding a couple of years earlier. I think it was at that moment I knew we were on the same page and I could trust her to create beautiful but relaxed arrangements - she just ‘got it’! 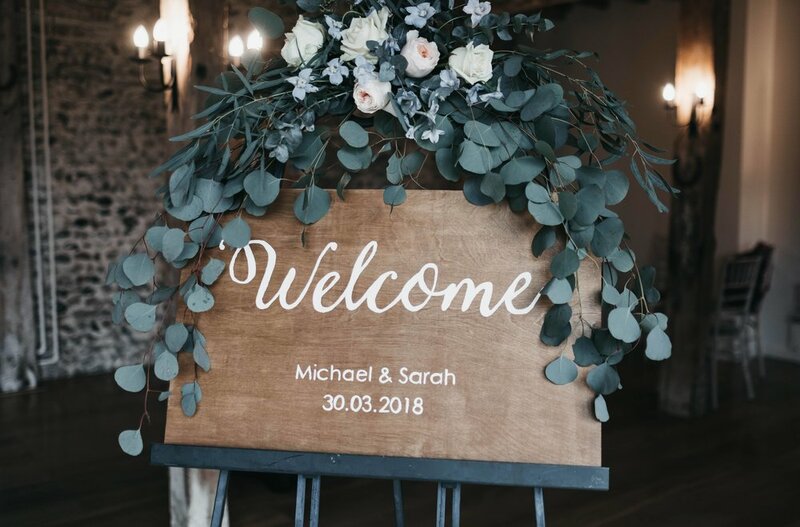 My favourite pieces were the hanging flower spheres in the Granary Barn and also our gorgeous welcome arrangement at the door of the Flint Barn. We decided on Hall & Co for our catering as we felt the sample menus really suited our tastes. 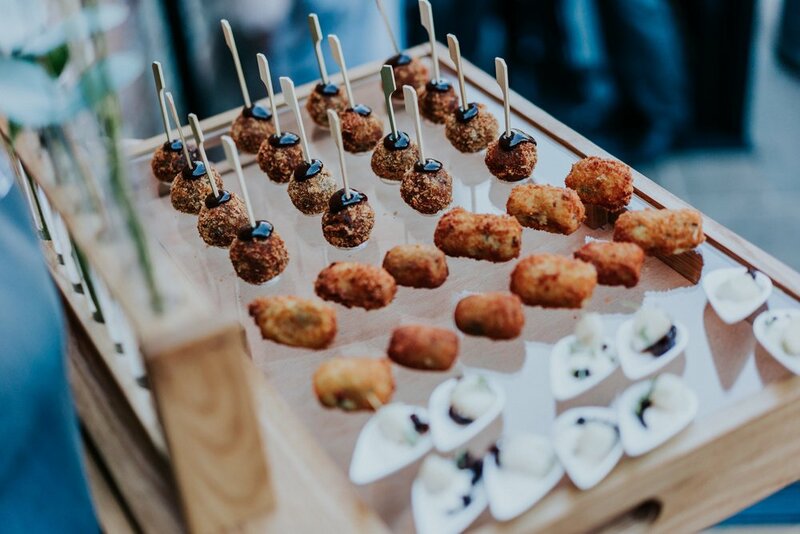 Canapes included slow braised beef rib croquette and cornbread with goats cheese and tomato jam. They were delicious, and people were fighting over who got the last ones. Luckily we didn’t have to worry about that as they saved a special tray reserved just for us, which was such a nice touch. 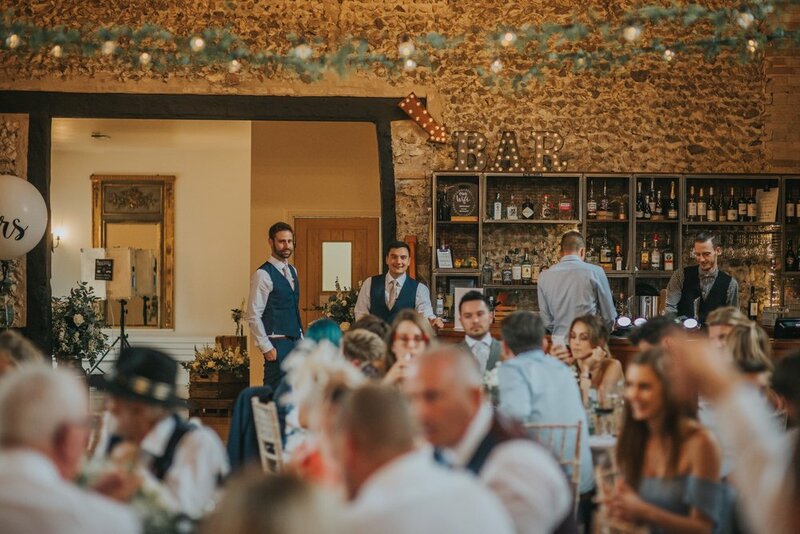 We decided to have a traditional sit down wedding breakfast and after much deliberation our menu consisted of cured salmon with horseradish creme fraiche to start, followed by slow braised pork belly with confit garlic mash with the obligatory crackling. We finished with salted caramel s'mores brownie. We received so many compliments from our guests on the quality of the food that Hall & Co produced. 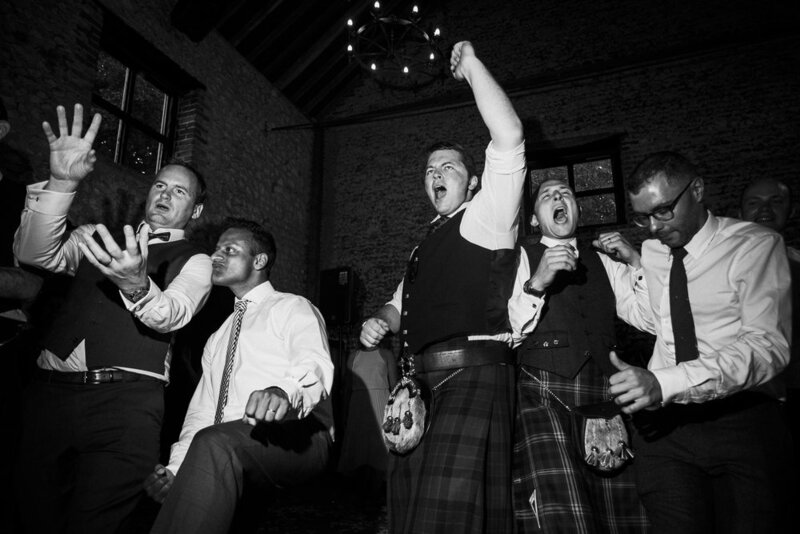 I spent five years in Scotland as a teenager and much preferred the ceilidhs to the discos. Although Calum is Scottish he had never actually been to one, so I had to really persuade him how much fun they were. It is such a good way to get everyone up and dancing. He eventually agreed and I found The Ceilidh Tree that were able to provide the ceilidh band and then also did a DJ set afterwards which gave us the best of both worlds. It was so much fun! By the end no one cared if they were doing the right steps, we were all just enjoying flinging each other around and laughing while we did it. The evening went so quickly and I wish we had had double the time to dance! We found Liam Smith online and loved his documentary style of photography. His pictures are beautifully shot and edited. They really stood out to us which is why we jumped at the opportunity to book him. Liam was so lovely and made us both feel at ease, at times we didn’t even realise he was there, but he managed to capture the day perfectly. A couple of weeks after the wedding we received a slideshow that he had made out of some of our photographs. We relived the whole day again while watching it, the photographs had captured so many things that we had forgotten about or missed. 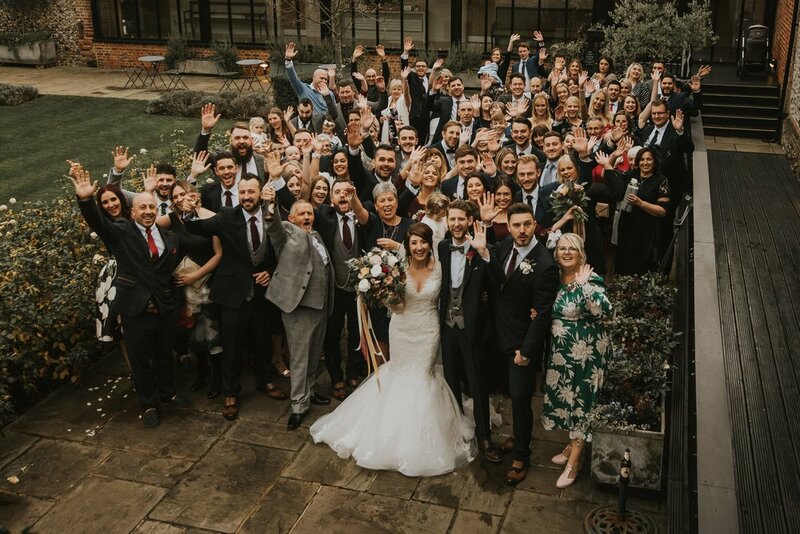 The natural composition of them really enables you to appreciate how much everyone was enjoying themselves and have provided us with moments of our special day that we can keep forever. Your wedding day is probably the only day in your life where every single person you have ever loved, family and friends, are all together in one room - all there to celebrate you as a couple and the start of your new adventure as husband and wife. I found the thought quite overwhelming, but it was simply just amazing. The day goes by so quickly, before you know it, it’s time to say goodbye to everyone. I feel for that reason it’s really important to be able to enjoy it and remember that if something isn’t quite how you imagined or doesn’t quite go to plan, only you know about it, and to be honest it really doesn’t matter! Once you wake up on the day, let everyone else take the reins and just enjoy spending time with all the people most important to you. 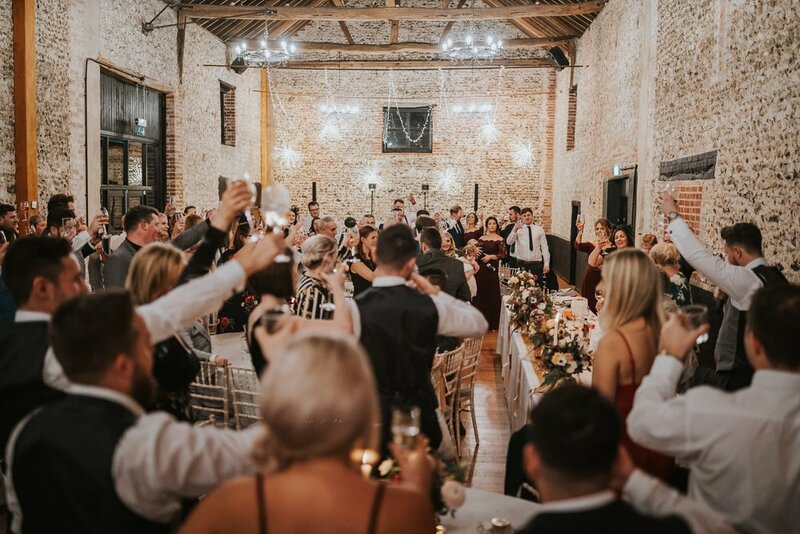 At The Granary Estates, we admit it… we’re primarily known for being a wedding venue, but we do accommodate for a whole host of other events under our timber beams! 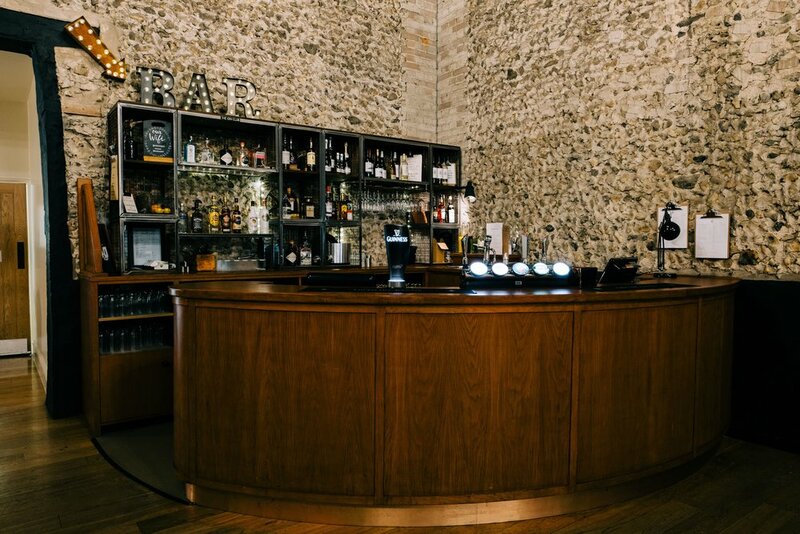 With our fully licensed bar, exclusive space and chequerboard dance floor, the barns is the ultimate venue to celebrate all occasions with loved ones and friends. We can create catering packages to suit your requirements and will work with you to make the event one to remember! Priding ourselves on our flexibility, you can do as much or as little to the barns as you’d like. It really is up to you! If our award-winning Barns appeal to you and you’d like to find out more, please feel free to get in touch, we’d love to speak with you! We look forward to speaking with you and have a wonderful weekend! CARINA: Paul and Dave, already both experienced, technically skilled DJs, joined forces to form Dreamwave Events back in 2009. 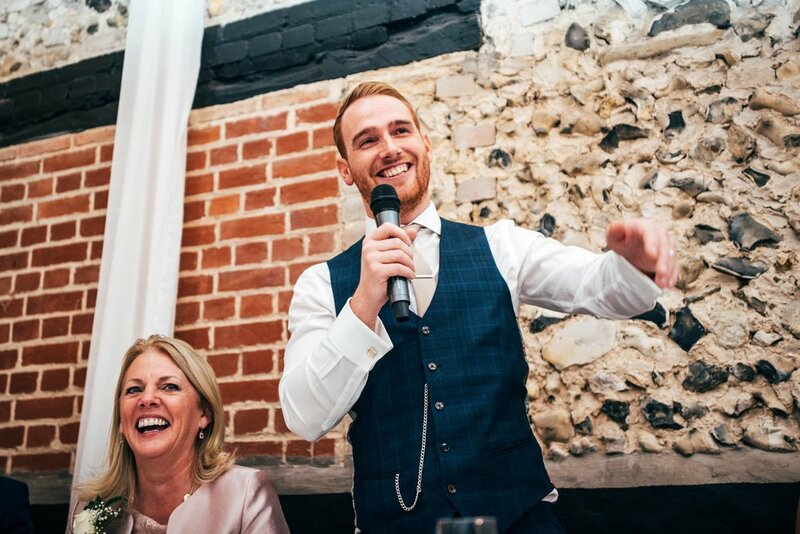 They have always been about connecting with the clients, combining a first-class service from the initial contact through to the evening of the event and providing a bespoke performance by understanding their audience. How has the company grown in the past few years? CARINA: We are celebrating our 10-year anniversary this year! With the combined motive power, knowledge and professionalism of the team, Dreamwave Events has grown year on year. 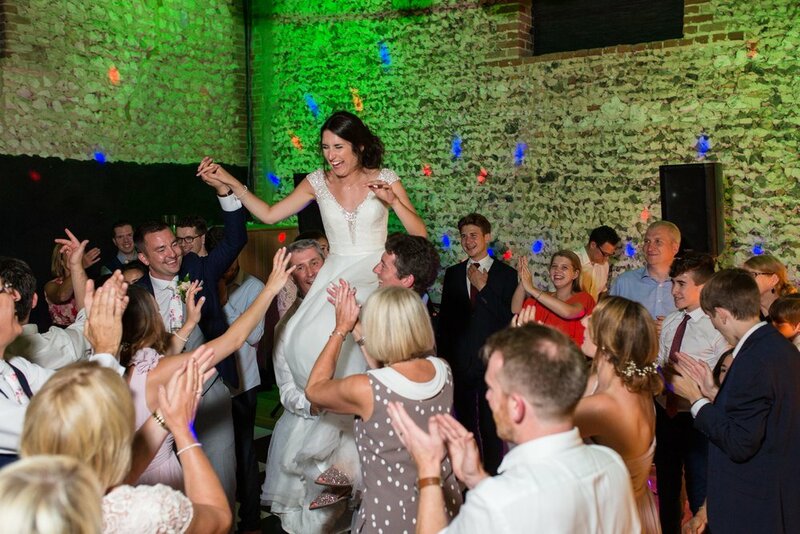 By staying true to our roots providing a service to clients that is of the highest standard and quality, we have a set of DJs whose technical skills and their ability to read the crowd, guarantees a personalised entertainment experience. We are so proud of the fantastic team we have today from our dedicated office staff and knowledgeable crew to our hand-picked highly skilled DJ’s whose artistic flare and dynamic style can only mean your evening party will be a complete hit! We are always looking for new and innovative ways to move forward with the business and have moved into providing collaborations with artists like Sister Sax and most recently, DJ Destruction. CARINA: We are always looking at innovative ways to move forward. DJ Destruction is a world class scratch DJ who will perform for a one hour set during your evening party when booked alongside our evening DJ package. We have seen him perform and he is absolutely awesome! He completely immerses himself into his high-octane sets. You can check my blog post, that has a short clip of DJ Destruction performing. If you could give a piece of advice to your couple planning their wedding, what would it be? CARINA: This sounds completely biased – but I would say, don’t underestimate the evening party. From experience, I would say a lot of couples do not put it on their priority list, yet it is a large chunk of your day and the part that you and you guests get to let your hair down and have fun! On this note, make sure it’s the party you envisage with the music and entertainment you want. What is one of your favourite memories at the barns? 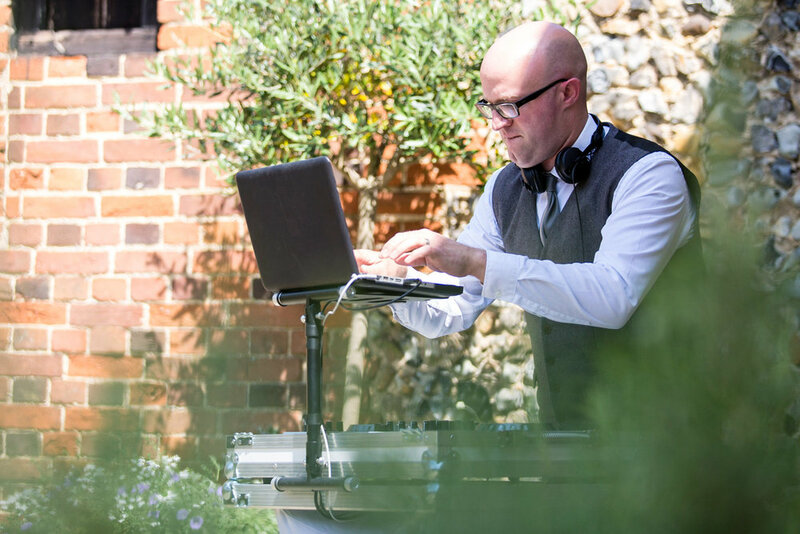 PAUL: One of my fondest memories was providing our Cocktail DJ service during a wedding drinks reception a couple of years ago on very warm summers day! We can play any type of background music during this service from modern acoustic tracks to chilled jazz but on this occasion, it was funky house / Ibiza classics! 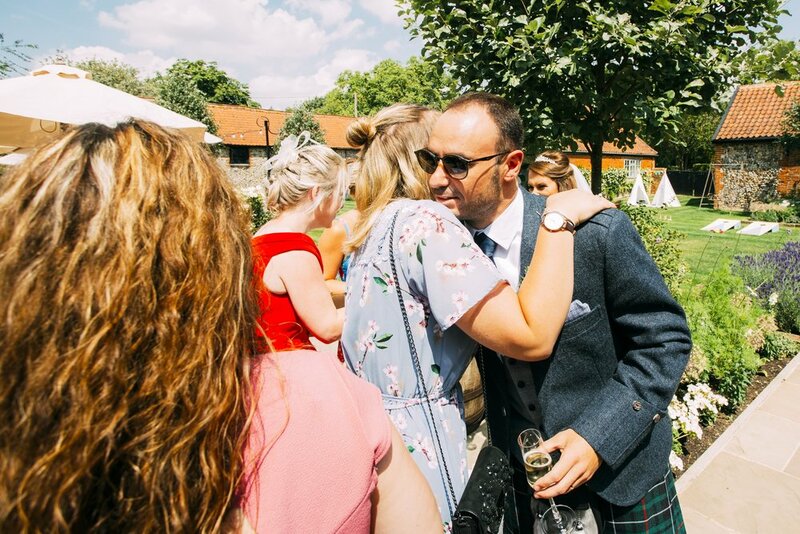 It was amazing guests where dancing along on the lawn whilst enjoying drinks and canapes, the atmosphere was perfect and much like being in Ibiza right there and then! What areas of the business have changed since you started? What trends do you see making their way through in 2019? What other events can you/do you do? CARINA: There are two sides to Dreamwave Events; Dreamwave DJ’s and Dreamwave Lighting. And we can cater for anything from an intimate private function to a huge corporate gala! Our specialist team is experienced and knowledgeable. I have already talked about our DJ side thoroughly – but our custom lighting and sound production is fully equipped to deliver design and concept installation of the highest quality. Mix the flour, baking powder, sea salt and sugar together. Make a well in the middle of the flour and add the milk, eggs, butter and vanilla. Mix until well incorporated. Allow to stand for 15-20 min. First make the candied pecans. Lightly toast the pecans in a frying pan for 5 mins over a low heat and allow to cool. Lightly whisk 1 egg white and add a good drizzle of maple syrup, along with maldon sea salt and 1 tbsp sugar. Mix well and then add the pecans. Ensure pecans are well covered and bake in the oven for 20-25 mins on 160 degrees. Next, cut the banana in half length ways, lay on a metal tray and cover the flat side with the remaining sugar. Blowtorch till a golden caramel colour is achieved. Now begin cooking the pancakes. In a non stick pan, add a small splash of rapeseed oil and allow to warm. Spoon in the mix, cook either side for 2-3 minutes and keep warm in the oven till the rest are cooked. Try more of their foodie goodness at Little Acre Kitchen - a hidden treasure in the heart of St.Ives. We can personally recommend it’s well worth a visit for a coffee and cake, brunch or even a cheeky cocktail! 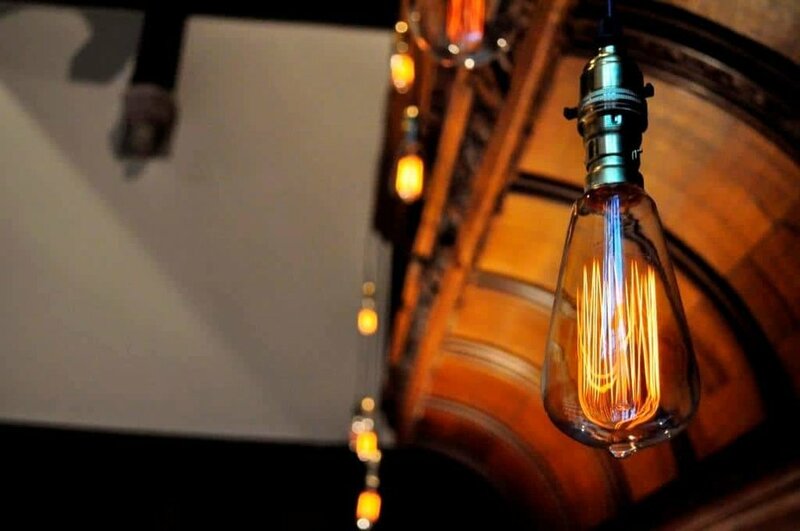 From lighting to set design to corporate functions, Cambridge-based event experts Pro Event Hire, are able to help create the event that you are dreaming of! 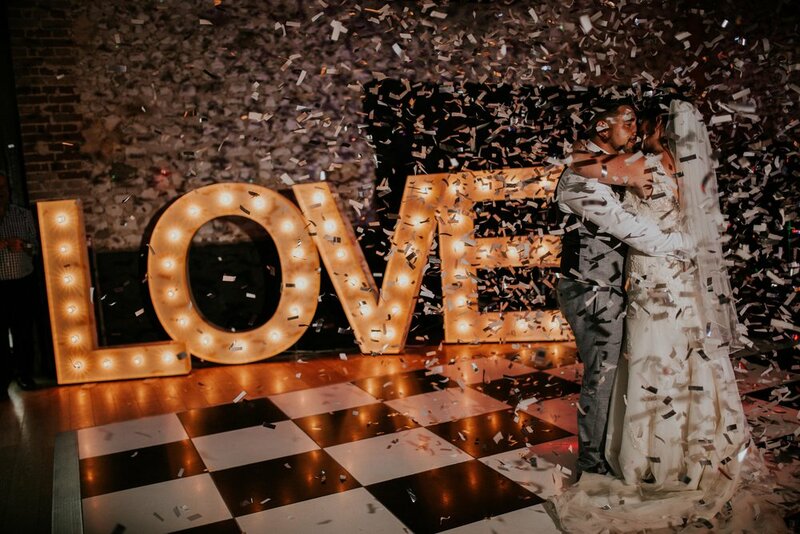 We spoke with Charlie, Director at Pro Event Hire, to find out more about what they do, the new products they have stocked for 2019 and what they have lined up for the rest of the year… over to you PEH team! Hey GGs! So Pro Event Hire, doesn’t really give much away does it? In a nut shell, we do lights and stuff. We are the technical people behind the scenes that make events look and sound awesome. All aspects of staging, lighting, audio and visual we’ve got you covered. We are a small team of friendly, creative people that I couldn’t live without! Powered mostly by tea, fast food and the desire to create cool stuff wherever we go. I have over 14 years’ experience in the events industry, working as a full-time club DJ for many years whilst starting Pro Disco Hire which soon evolved into Pro Event Hire which I now concentrate on full time. Most of my time is spent meeting with clients and discussing their vision, or out on site creating it! Lucy takes care of all of the day to day running of the business and she will most likely be the person you speak to when you contact us. How long have you been in the industry and how has the company grown in the past few years? We are coming into our 9th year of trading this year. Growth in the last few years has been quite fast, we have become a limited company and taken on members of staff. Not bad from a young lad who used to stuff his Ford Fiesta full of equipment for gigs (don’t worry, I have a fleet of vans now). Definitely the variety of what we do. No day is the same and we are always working on different projects with different styles. We love couples that think out of the box with their planning and want to do something a bit crazy and different. Don’t be scared to do what YOU want to do. Don’t feel pressured by traditions or what you feel should be done. At my wedding, me and my ushers all wore box fresh trainers with our suits as I am a bit of a sneaker head. Make things personal to you. How do you feel about being a Granary recommended supplier? Do you have a favourite memory with us here at the barns? Cue smug face! It’s great to be recommended at such a popular venue. The girls are awesome and they always make sure the kettle is on for us. My best memory is working with the team on the Style Edit. We worked with the Granary team from the concept of the fashion show through to the set design, music editing and producing voice overs. 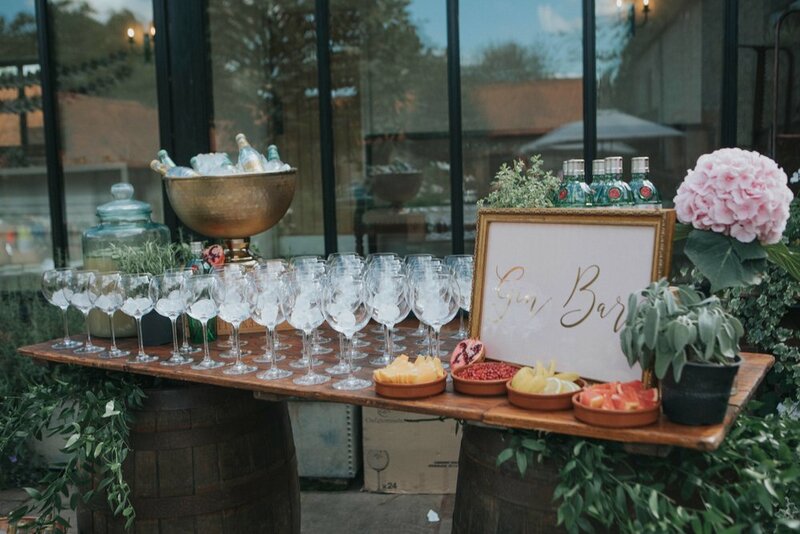 The Style Edit showcased what a versatile venue The Granary Estates can be. Being a technical production company means we work on both weddings and corporate events regularly. 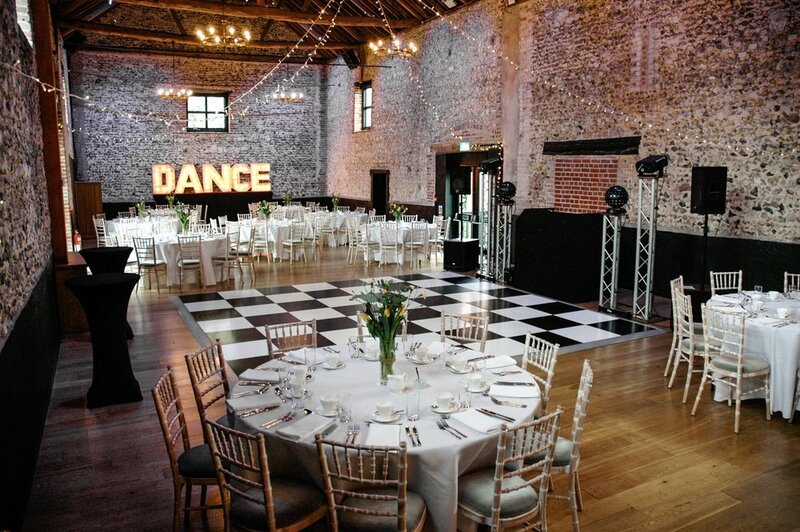 We have provided AV solutions to venues as large as Ely cathedral with over 500 guests. Although I hate to admit it because I will sound really old, but social media wasn’t around when I started out! So, I think the biggest change is peoples access to ideas and the detailed view we are getting into other weddings. I think this has created the birth of a much more creative bride and groom, people are coming to us with elaborate plans, normally with a Pinterest board to match which makes things much more fun for us! This year we are seeing a lot of colour and the more alternative look. 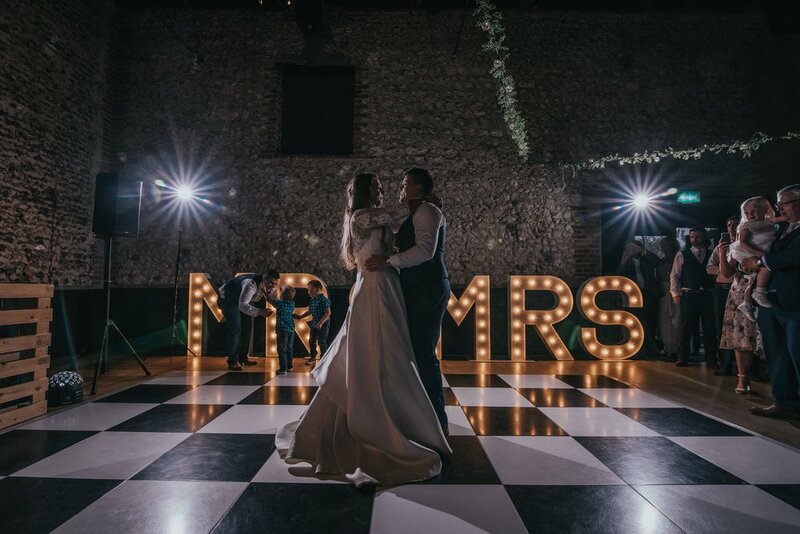 Our new neon signs and light boxes are proving very popular and I think it’s going back to what I mentioned earlier about being brave and making it YOUR wedding. And finally…what have you got lined up for the rest of 2019…? We have just been booked to provide some equipment to Example on a couple of dates of his tour so super excited about that! 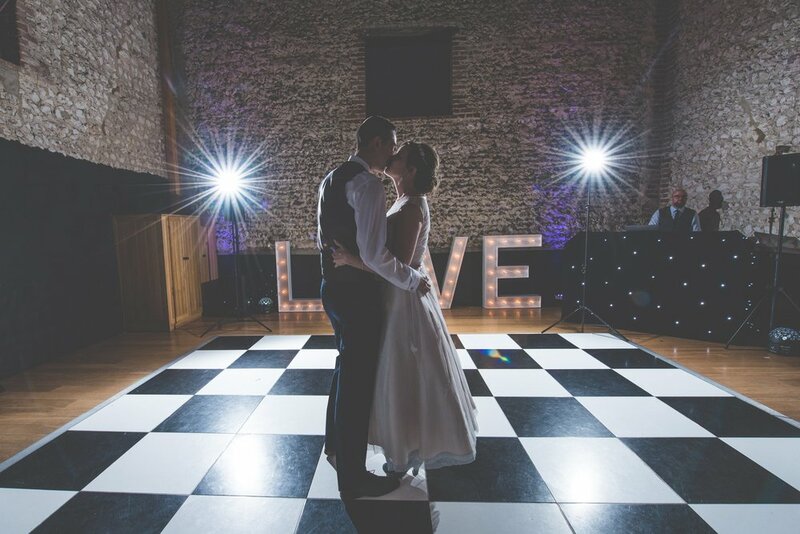 Hoping to showcase some more of our lighting over at Granary Estates this year as I think a bit of neon could be the icing on a pretty awesome cake… or wedding…! Winter weddings are always so magical at the barns. 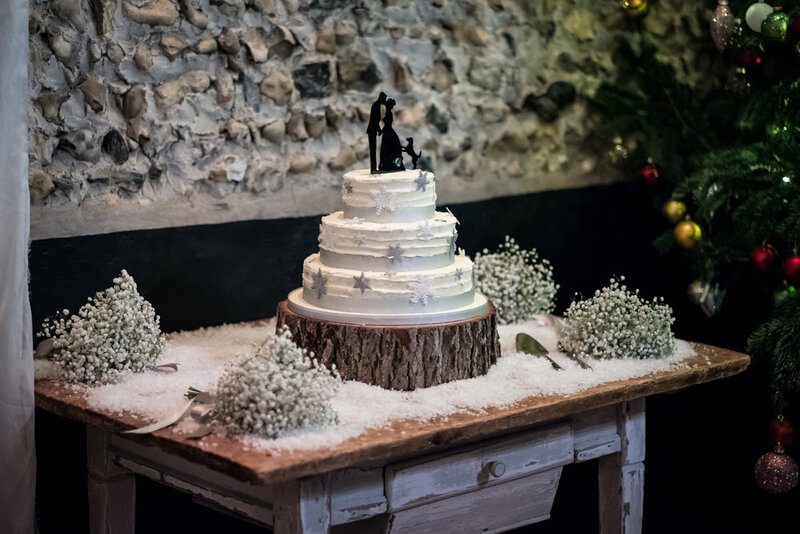 With our 18ft Christmas tree taking pride of place in the barn, fairy lights twinkling throughout and the toasty fire pit crackling outside, our rural venue is the perfect place to celebrate your wedding during the winter months. 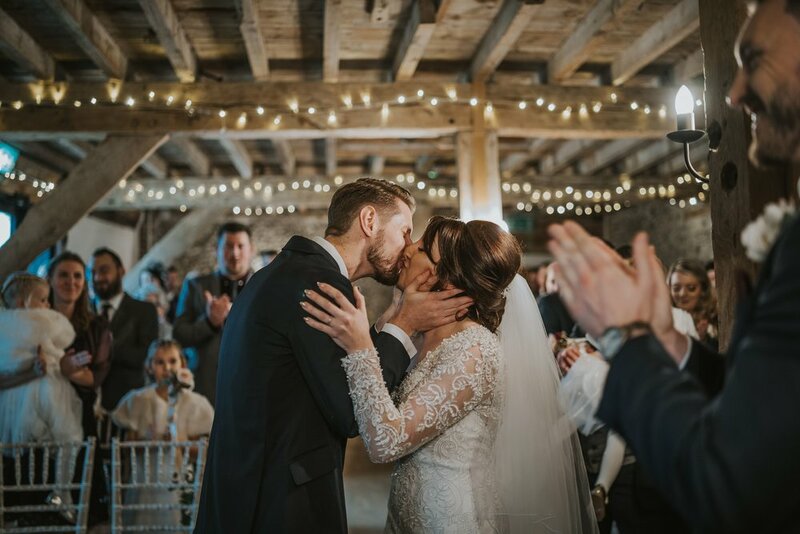 Emma and Dan knew that they wanted a barn wedding and we were happy to oblige, playing host to their winter celebration at the barns in December. 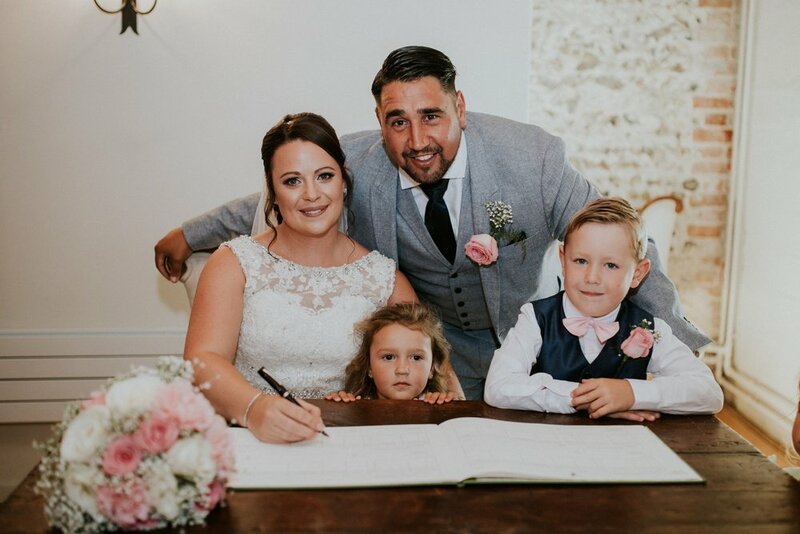 Our recommended photographer, Tom Halliday, was on hand throughout the day to capture every smile, embrace and now cherished memory, for Emma & Dan to keep and look back on in years to come. Scroll down to see a selection of these photos and Emma’s words of wisdom…! I had always known that I wanted a dress with sleeves but had no idea what shape to go for. 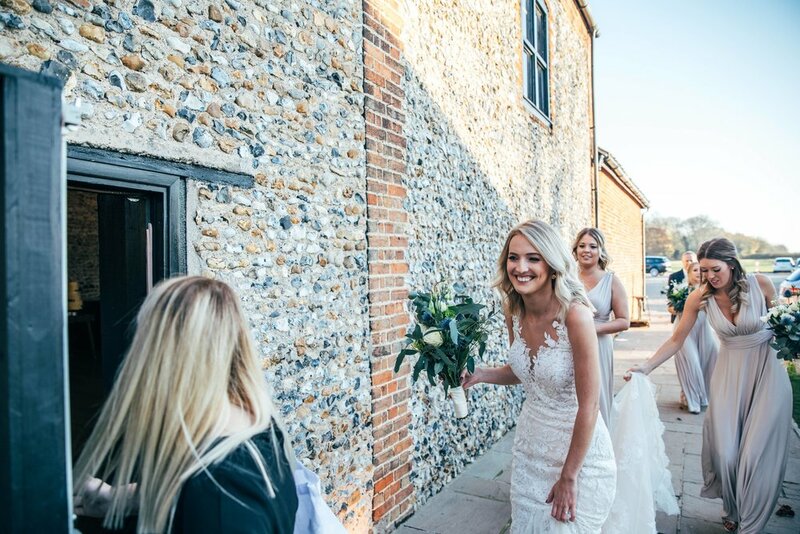 The girls at Fleur De Lys Bridal in Saffron Walden were really helpful and the first time I went they allowed me to try on as many dresses as I wanted in whichever shape. I actually held a dress the first time that didn’t turn out to be ‘the one’. After having another look online I picked a few more dresses to try on at another visit and that was when I found my dress. 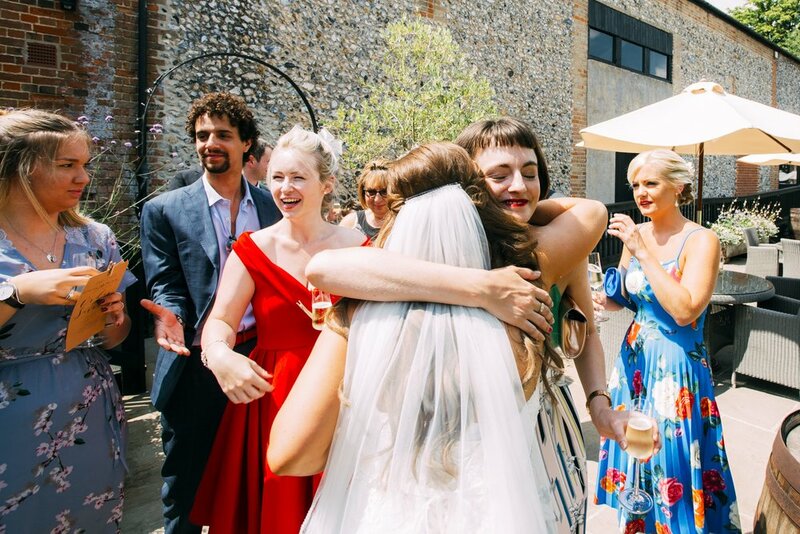 The moment I put my dress on and came out to reveal it to my Mum, Nan and bridesmaid Sian there were tears in everyone’s eyes and I knew it was the one. 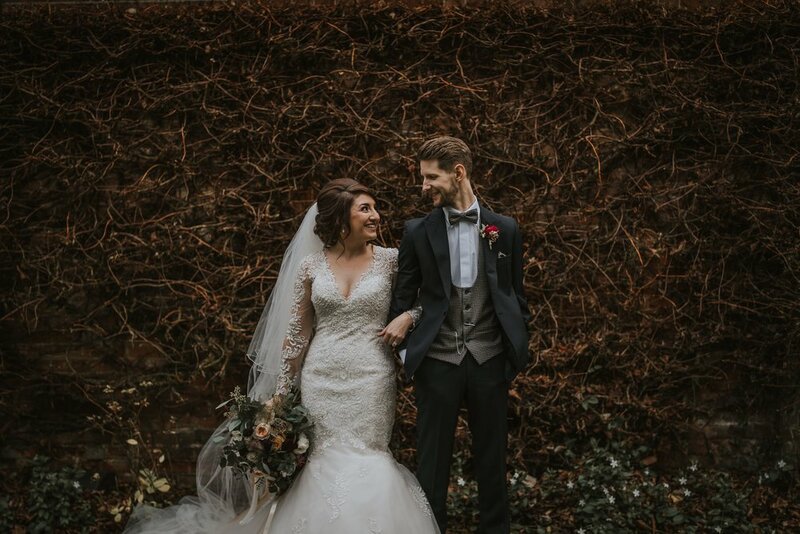 I loved the beautiful intricate detail on the sleeves and bodice which I felt were perfect for a winter wedding and the illusion back added something extra special to the dress. The floor length plain veil I chose really made me feel like a bride and everything came together perfectly on the day. 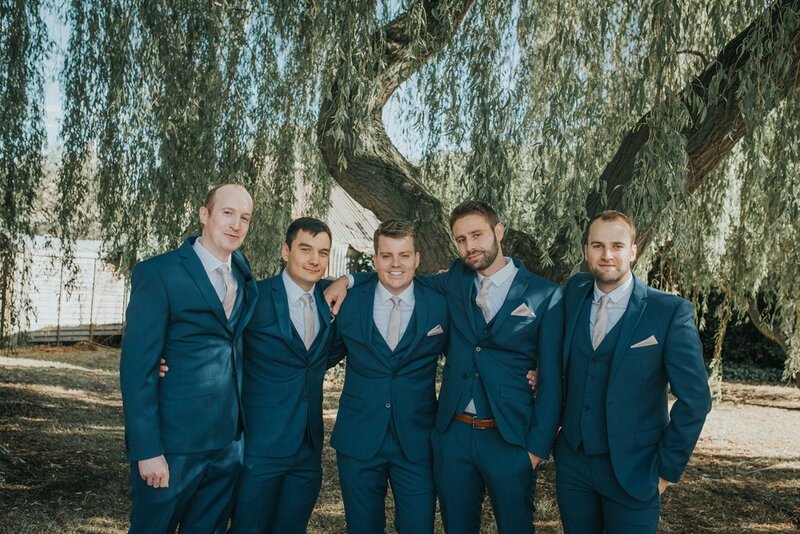 The suits were from Anthony Formal Wear in Colchester; Dan & I went to choose them together but I really wanted Dan to choose how he wanted himself and the boys to look on the day. He went for a navy suit with a navy and cream puppytooth waistcoat. 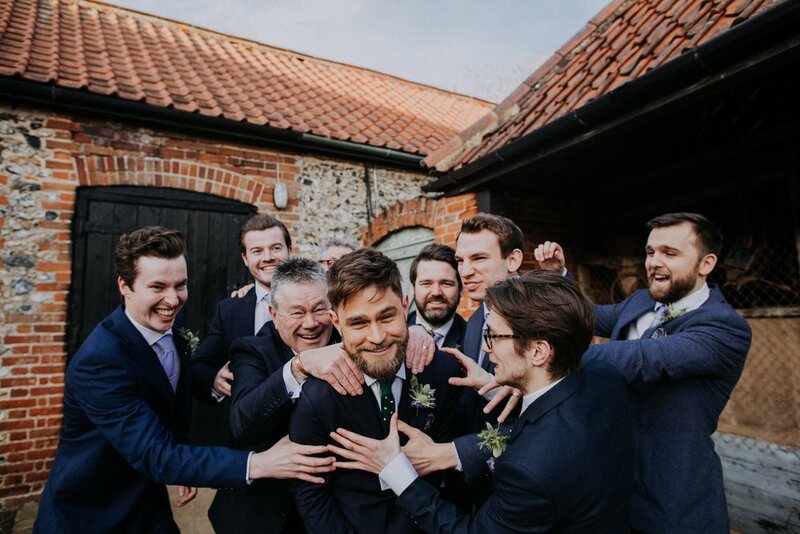 Dan had a scoop neck waistcoat and a matching hank and bow tie, whilst the rest of the groomsmen had burgundy ties and hanks to tie in with the bridesmaids. They all looked really smart on the day! I had four bridesmaids and three flower girls. Sammi, my best friend for the past twenty-six years was my maid of honour and then Alex, Charlotte and Sian were my other bridesmaids. Sammi, Alex, Charlotte and I have travelled some of Australia together and have shared a lot of happy memories over the years. I couldn’t have imagined getting married without those four girls by my side; they truly are such a special bunch and I’m very lucky to have them. Elsie, our beautiful daughter was one of our flower girls as well as our niece’s Elys & Ruby; they all looked so lovely on the day with their gold and cream dresses and fur boleros. 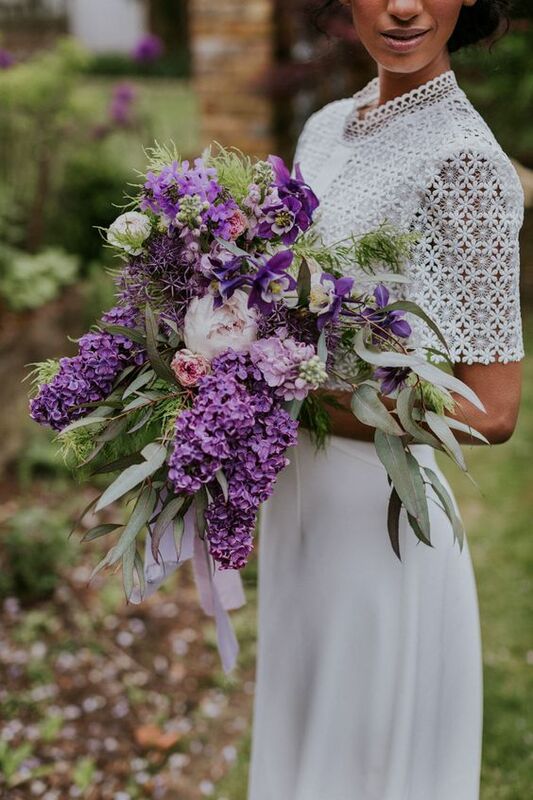 I saw the bridesmaids’ dresses soon after Dan & I got engaged and fell in love with the colour and the lace sleeves. I knew they would be perfect but they were out of my budget so I hung on and ended up managing to get 20% off them on Black Friday luckily. They were from Coast and all the girls were so pleased with them and felt beautiful in them which was so important for me. I loved staying at the cottage the night before with all my favourite girls and the morning getting ready with them all was perfect. Also when we all came out of the ceremony we were all singing and dancing to the exit song and had a big group cheers at the end. They are all stunning girls and I was so proud to have them stand by my side. 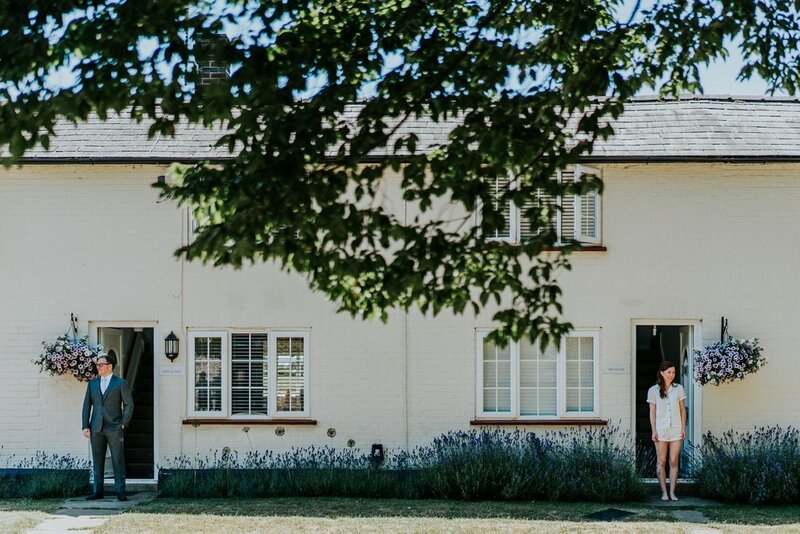 The Granary Estates was the first venue we looked at after we got engaged and we both came away knowing it was the one. 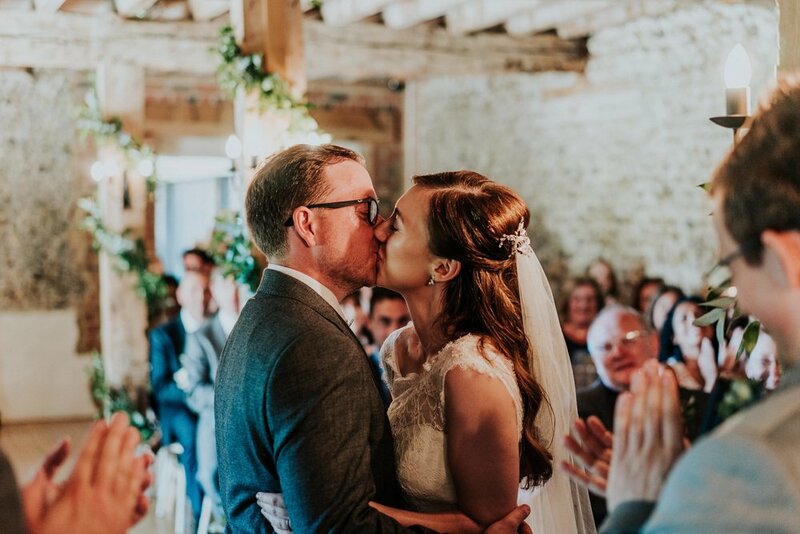 I had always imagined I would get married in a barn and the Granary excelled all of my expectations; both the flint and granary barns are stunning with lovely old features. 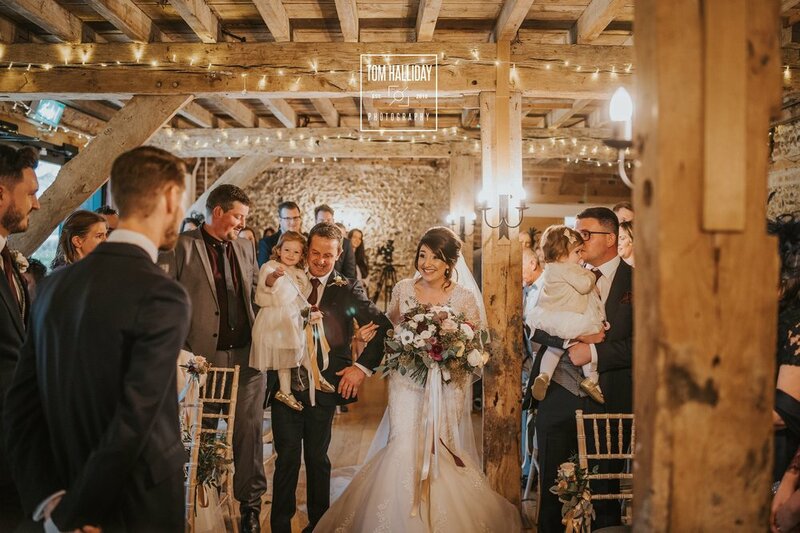 During Christmas the barns are literally magical, with an 18ft Christmas tree in the granary barn and fairy lights flicking away in the flint barn it was the perfect place to have our winter wedding. The glass walkway linking the two barns and the courtyard are also beautiful features of the barns. 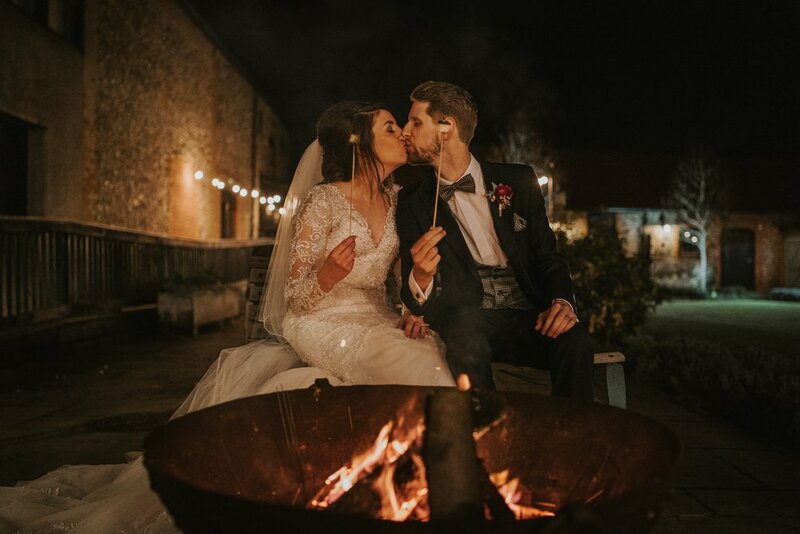 Hall & Co transformed the flint barn into a soft seating area post ceremony and they also hung a canopy of fairy lights over the dancefloor which added to the Wintery feel. We went for mercury gold, deep burgundy and textured green foliage as the themes for the wedding. 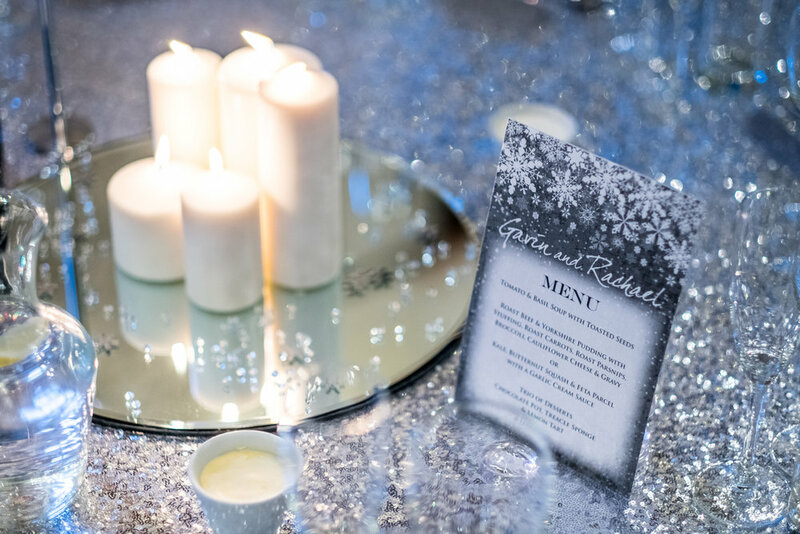 They were incorporated throughout the day to create the rustic winter wedding we had both imagined. 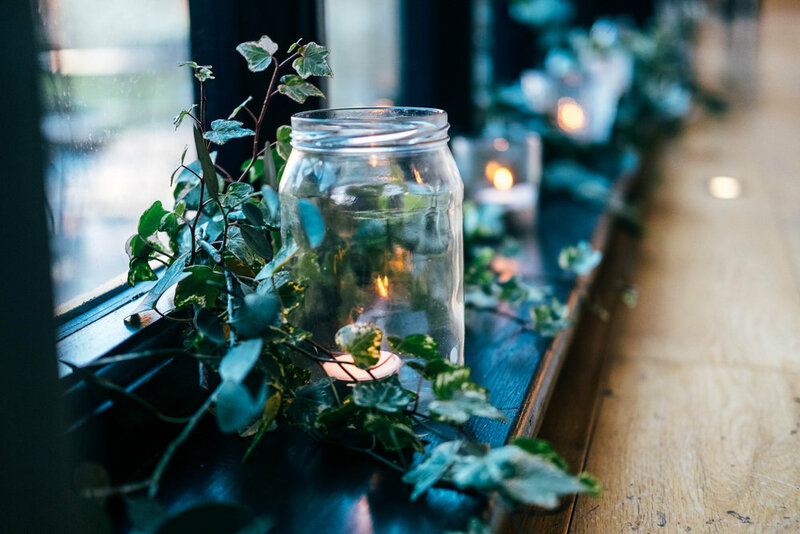 Our suppliers were amazing and transformed the venue into everything we had ever wanted with beautiful flowers, foliage and candlelight used as the centrepieces. We also wanted to add personal touches to our day so I handwrote the chalkboard and place names and we made our wedding favours; also decorating the venue with photos of our loved ones special days. Our flowers were by the amazingly talented Emily of Emily Tallulah Flowers; Emily is my good friend Grace’s sister and I had previously seen weddings and other events she had supplied for in the past and knew she would be perfect. Not only is she very kind and warm but she has an ability to transform your ideas into everything you could want and more. We had beautiful burgundy and hanoi ranunculus, Juliet roses, peach avalanche roses and quicksand, as well as textured green and gold foliages. I was literally obsessed with my bouquet and couldn’t have been happier with all the gorgeous flowers that filled the venue on our big day. The colours of the flowers fitted perfectly with the venue and our theme. I actually felt quite calm before the ceremony, I think the girls were quite surprised but I was really excited and looking forward to seeing Dan at the end of the aisle. We had chosen our favourite song for me to walk down the aisle to and as soon as I heard that the tears started. It was so special for us sharing the day with our family and friends; Sammi and my cousin Alice did beautiful readings. We chose them because the words really resonated with us both and to a certain degree summed up our relationship perfectly. I can still remember every part of the ceremony; Dan & I had written personal vows that neither of us had read before and it was an extremely emotional moment, I could barely get my words out through the tears but I am so glad we chose to write them as it made the ceremony feel even more personal. 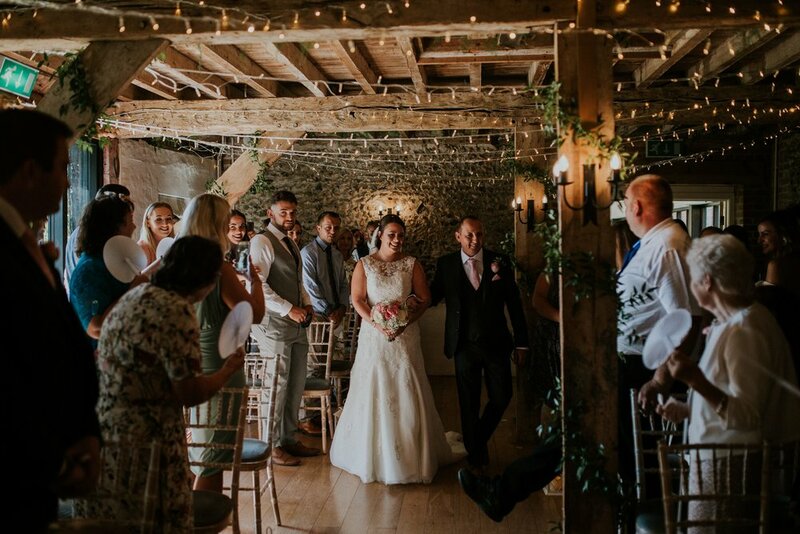 The Flint barn looked perfect with the canopy of fairy lights, Christmas tree in the corner and the beautiful floral aisle ends; it was the perfect setting for our ceremony. We chose Hall & Co as our caterers; the day we first met with Elizabeth she was so professional and lovely and took the time to really get to know our likes and dislikes. We had lovely canapes and a two course wedding breakfast. For the mains our guests had a choice of slow braised pork belly or shin of beef, both with mash and spring greens. With me being a chocaholic the obvious choice for desert was a dark chocolate mousse, coffee mascarpone and a spiced caramel biscuit. We had so many comments from our guests to say how amazing the food was on the day. We had around 60 additional evening guests join us to celebrate in the evening. We decided to go for a DJ, Andy of Soundwave Disco who has been an old family friend was the obvious choice and did a great job on the night. 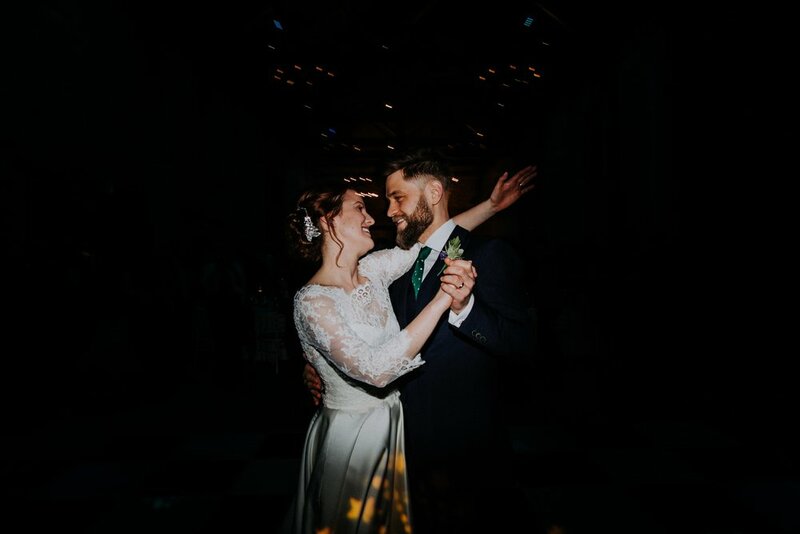 We chose the acoustic version of Sam Smith – Latch as our first dance; it was actually one of the things we left until last to choose but after listening to it a few times we knew the words were perfect. 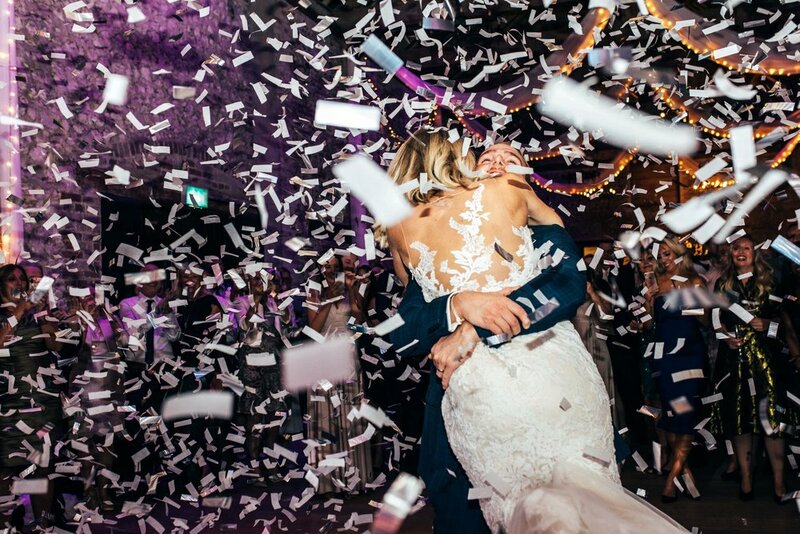 Dan was brave enough to lift me on the night (after nearly knocking me out a couple of times at home on the ceiling) at the exact moment the confetti cannons went off which came together exactly as we wanted it to. 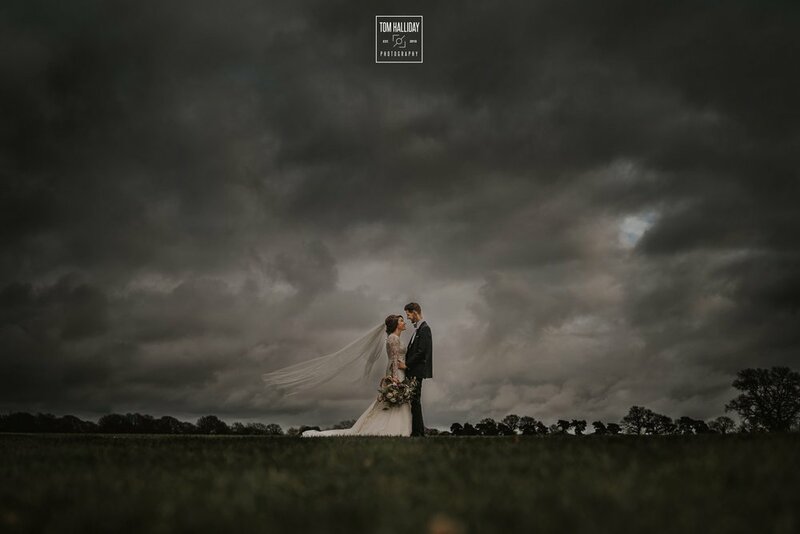 Tom Halliday was our wedding photographer and he was absolutely amazing on the day and the lead up to the wedding. He’s such a genuine, friendly bloke and his style of photography is just out of this world. We had seen some weddings he had shot before and immediately knew we wanted him to be our wedding photographer, other than the venue he was actually the first supplier we booked for our wedding. His photos are just absolutely stunning and I couldn’t even begin to pick a favourite as they are all so beautiful and sum up the day perfectly. 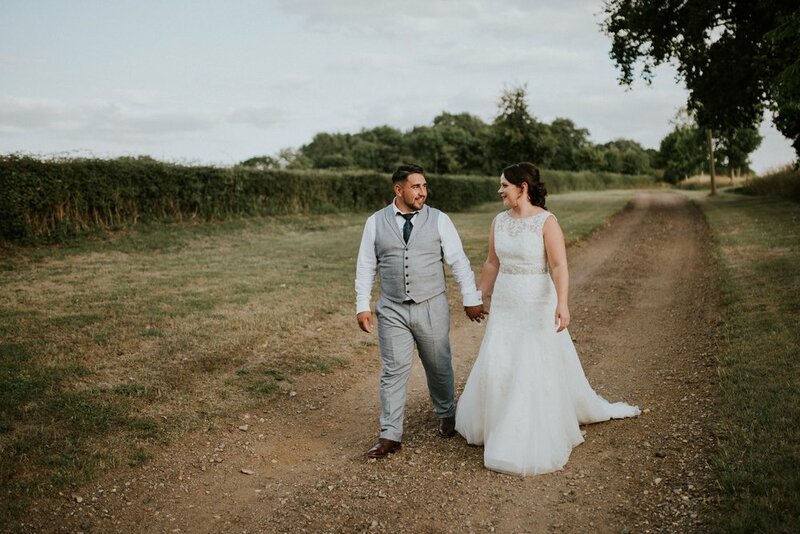 They arrived in our inbox within 5 weeks which we were so pleased about as we got to re-live the day all over again so soon after the wedding. I’ve had quite a few printed off and put in frames ready for when we move into our new home in March and we can’t wait to see the album. I remember the first moment I saw Dan at the bottom of the aisle and feeling so happy and lucky to be marrying him. Also just looking around at our amazing family and friends and feeling so lucky to share the day with all those we love the most as well as the big tear-jerker moment when my Dad came in the room with my daughter Elsie to see me for the first time. Because we had 2 and a half years to plan the wedding I think it all went pretty smoothly in the end as we didn’t ever really need to rush anything in the planning process. The last decision we made which was probably one of the best decisions was to have a videographer; the day flies by so quickly and now we look back and are so glad we have those memories to watch for the rest of our lives. OW Productions was a great choice and we are both so excited to watch the video back! My top tip would just be ENJOY every moment and don’t stress over the little things. Everything will fall into place on the day and if it doesn’t go exactly as you planned then don’t worry – no one around you will notice it as all they care about is you and the love you have for each other. Grab your slice of the action! Our ethos is keep it simple, keep it traditional and use the best Italian ingredients you can find! Pizza is one of the nations favourite dishes because it literally caters for all – old, young, vegetarians, vegans & meat eaters. It’s diversity makes pizza wonderful! We researched all of our pizza’s by travelling to Naples which is home to our favourite pizza’s and we based our dough flavourings and toppings around the Italian style. Through a lot of research, we bought our findings back to the Streets of Cambridge and the people of this fine city, who have been enjoying our pizza for 8 years now. Dough - We use a classic Neapolitan recipe ’00’ Flour, yeast, water and table salt. We allow to prove over 24 hours for the springy moorish crust. Our tomato sauce is made with San Marzano tomatoes, a pinch of salt and pepper is all you need. N’Duja - What can we say about this, possible one of the finest ingredients ever made. A soft spreadable Salami from Calabrian. It has a smokey, spicy and highly addictive taste and melts into puddles of loveliness over the pizza. To finish the pizza, we add basil leaves and Virgin Oil - simple but amazing! 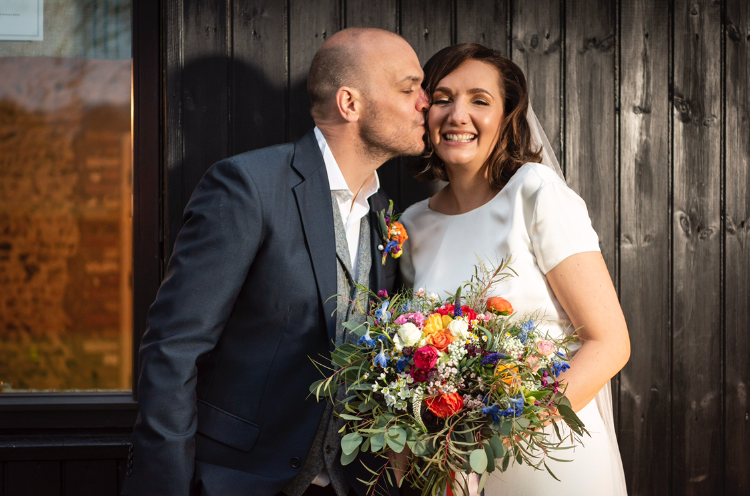 Last autumn, we had the absolute pleasure of welcoming Nathalie, Kieron and their loved ones to their wonderful November nuptials. 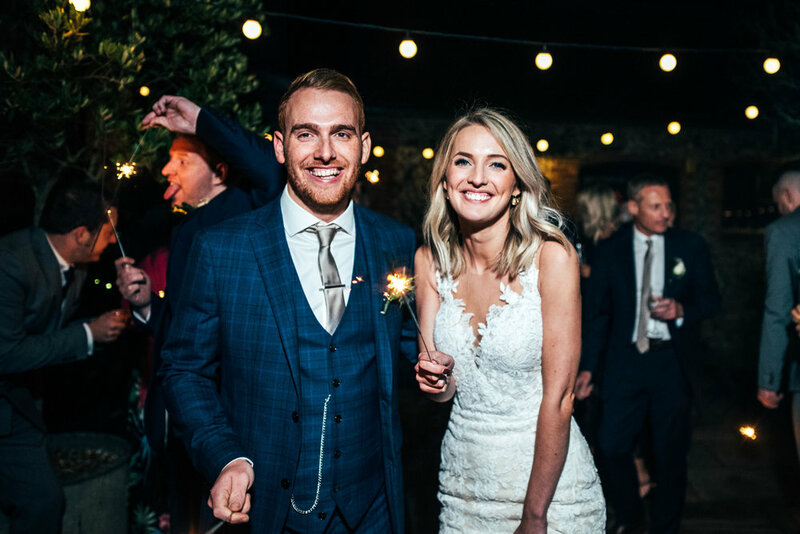 With a strong vision of how they wanted their big day to look, the future Mr & Mrs Bates had lots of personal touches from fairy lights, to sparklers and of course, their amazing personalised neon sign (scroll down…!). 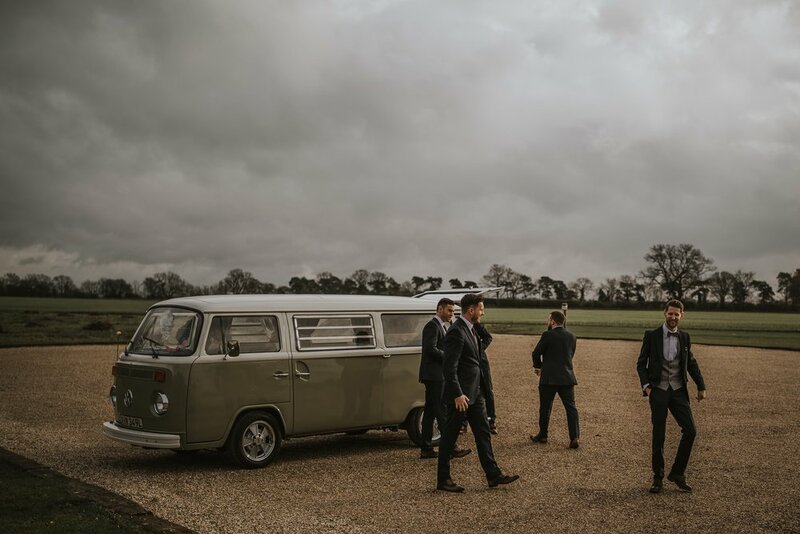 Here we take a look back at their special day, captured by the talented Three Flowers Photography… some serious wedding inspo coming your way! I knew I wanted a fitted fishtail dress but I was convinced I wanted sleeves with it being November. I thought I’d need to be warm. I tried on A-LOT of dresses (all with sleeves) only to end up choosing one without. When you try them on in the shop they are all in larger sizes usually so even when they pin them to fit the mesh of the arms, it still looks baggy and it was hard for me to imagine it being smaller although I’m sure it would have looked lovely. I felt far too covered up in all of them so ended up with a sleeveless with mesh that made it appear strapless. Confetti and Lace in Lakeside, Essex became my second home I must have tried nearly all of the dresses and it’s a very big shop! I loved the atmosphere in there and always felt very relaxed compared to other stores I went to. It was by far my favourite and I would definitely recommend it. I didn’t expect to have that ‘wow’ moment, but I did feel quite emotional the first time I tried my dress on. I was just with my mum and was getting really fed up with the whole process by this point, but it felt so special that I did well up slightly. The back and the train are what did it for me, which is why I didn’t have a veil because I didn’t want to cover that part of the dress up. Kieron got his suit from Anthony’s in Billericay and he designed his suit from scratch. He doesn’t really wear suits so he wanted to get a nice one that he could wear in the future. I went with him because I was scared of what he’d pick (there was a lot of talk about larger checks and out there patterns) but I liked the ones he chose. He picked a navy check and a very lary lining, and the other boys just had navy so he stood out but not too much. 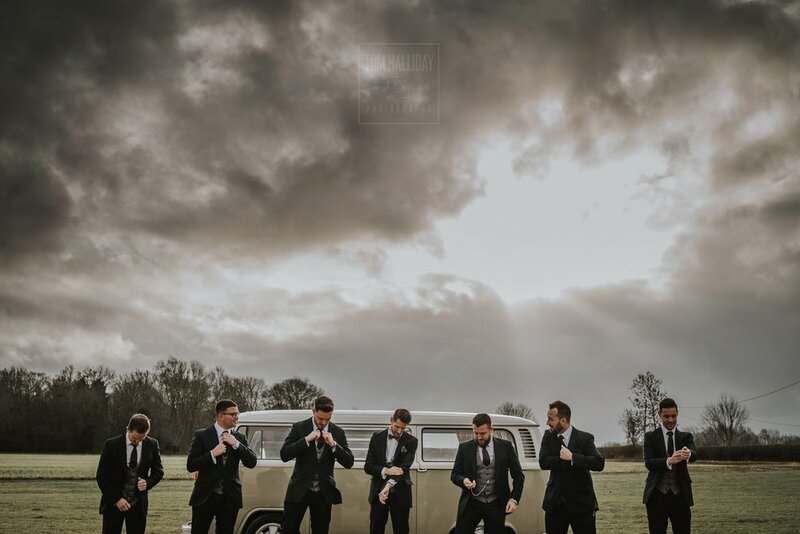 The boys clubbed together and bought him a pocket watch so they all had matching ones with their names engraved on them which was really nice and they looked great with the waistcoats in the photos. I had three bridesmaids; my sister and my two best friends. The dresses were the first and easiest thing I sorted out. We got engaged just before Christmas, so I nabbed the dresses in the sale from early in January. I knew I wanted a champagne gold colour and found them online, they were ISSA at House Of Fraser and were in the sale for £40 from £120. I grabbed about 6 different sizes so they had options and got the girls to try them on, luckily they all liked them! We all got ready together in the morning which was nice. It was stressful at times with 4 people doing their own hair and make up in one room.. but was nice to share the morning with them and make memories. Half way through me and Kieron having our photos taken, the girls appeared with glasses and a bottle of prosecco which I was very happy to see as I’d been outside for about 40 mins and was freezing. We knew we wanted a barn, but I didn’t want a classic Tudor-style with dark beams so that limited the options. 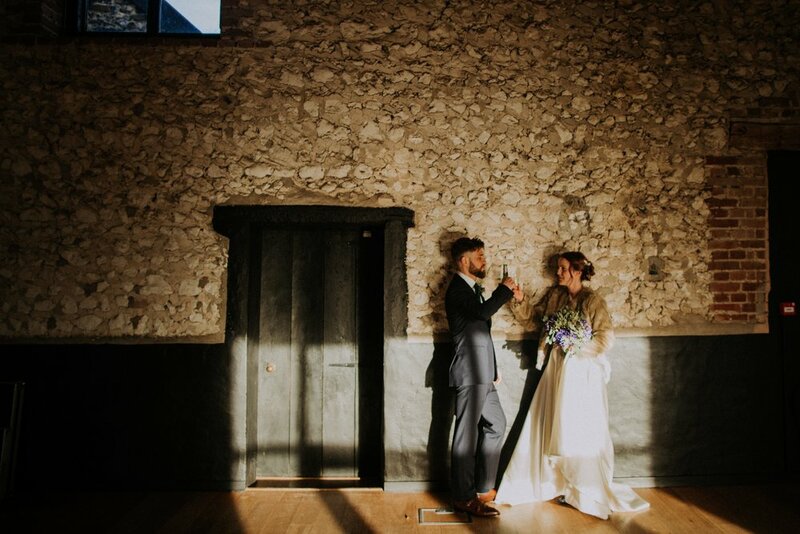 When I saw The Granary Estates on Instagram I fell in love with the flint walls and light feel. We spent a weekend driving around looking at venues, we saw about 15 barns in one weekend and The Granary was the last one we saw, much to Kieron’s annoyance! When we turned the corner and saw the big barn I looked at Kieron and said this is the one! Luckily, he didn’t disagree. 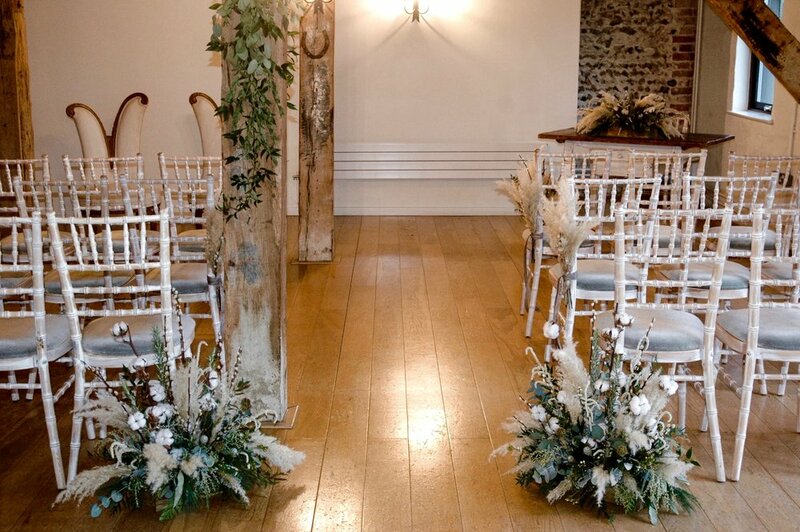 We loved the fairy lights and the drapes in the main barn so Hall & Co did those for us. Other than that, we kept it very simple letting the flint and grandness of the barns speak for themselves and opted for greenery instead of flowers to keep costs down but also because I liked the simplicity of the greenery and the lights. My mum managed to convince friends to let her chop up their gardens for greenery and bought some extra bits a few days before from our local flower stall, where she also bought the flowers for our bouquets which she made herself. I was very impressed, she’s very arty like me which came in useful. I wasn’t as nervous as I thought I would be standing waiting in the corridor. I’d had a few glasses of prosecco for dutch courage, but when the doors opened and I saw everyone looking at me I panicked and basically dragged my dad down the aisle as quickly as I could. I remember blinking loads while walking down, thinking don’t cry, don’t cry, your make-up! In one photo you can see a pool of tears in my eyes but luckily they didn’t spill out! Once I was at the front with Kieron I felt less nervous but found myself squeezing his hand and fidgeting from one foot to the other. I was willing it to hurry up as I’m not good with attention being on me (hard to avoid on your wedding day) so I don’t remember much of the ceremony. My sister read a poem which she’d written about us which was amazing and nearly got me. We used Crown Catering Cambridge and they were amazing, we’ve had so many compliments on the food! Mainly the butternut squash and chilli soup which really helped warm us up after being outside for photos. Then we kept it simple with roast chicken and had our wedding cake (lemon drizzle) as dessert so we cut the cake after the main course and did the speeches while they cut it up in the kitchen. It worked really well as then the cake didn’t go to waste and we still have loads left in our freezer! We only had 20 or so more guests in the evening. Kieron wanted a band but the budget didn’t allow for it so we booked the Granary DJ package. We were a little worried as we had never met or heard them DJ, but we used their online system to pick out our ‘must play songs’, all of which he played and the rest of the music was amazing. The dance floor was packed the whole night! 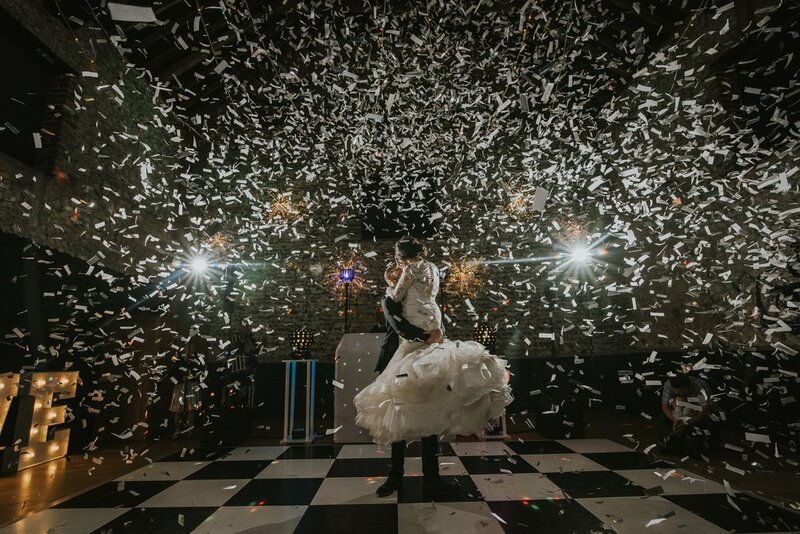 We didn’t really have ‘a song’ so we found it quite hard to pick our first dance song, however I loved our choice and the confetti cannons were great, although it did all go in my mouth! I enjoyed the party so much more than I thought and after the first dance was over, I really relaxed. I had a bit more to drink and just felt like we were on a night out with our friends, who also didn’t leave the dancefloor! Charlotte from Three Flowers Photography was our photographer and, along with her second shooter, was amazing! We loved them. We had a tight schedule for photos as in November the sunset is much earlier, but they were on it. 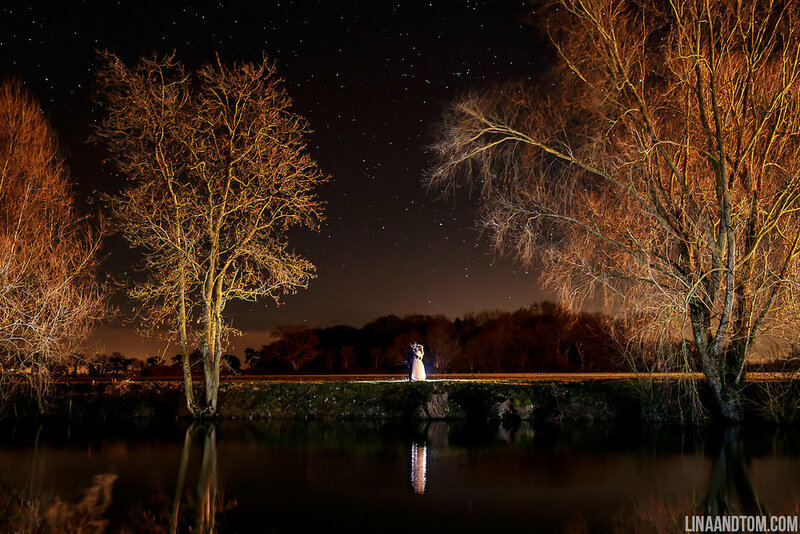 I saw that Charlotte had shot a November wedding at the Granary the year before and loved her style. She knew the venue and even though it wasn’t summer, the photos looked amazing. 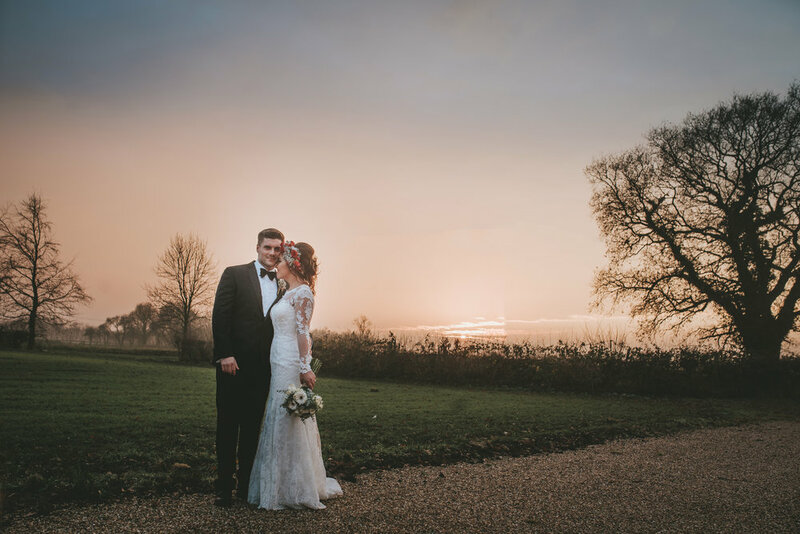 We’re SO happy with how they turned out and were so lucky with the weather and the sunset! We had the photos 5 weeks after the big day, although she sent me a few early so I could get them printed for the family’s Christmas presents. I haven’t made a book yet but it’s on my list of things to do. 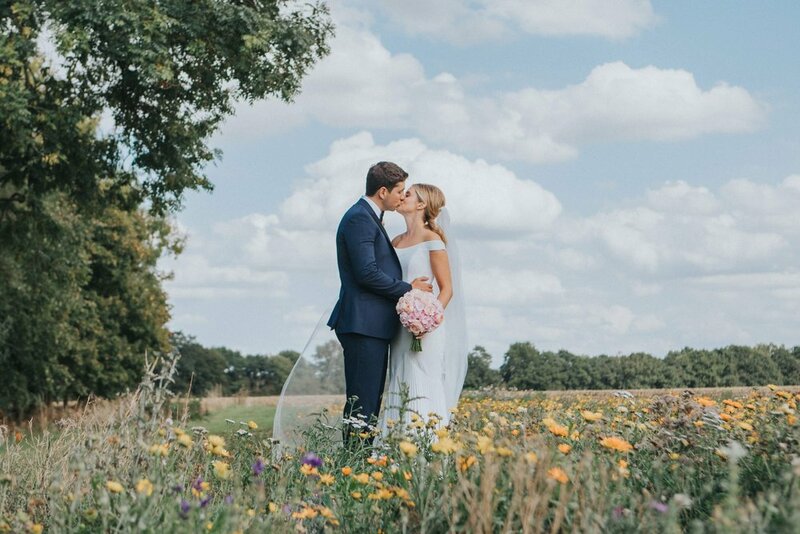 We definitely have some favourites, we are also lucky that some of the guests had good cameras too so they captured some really nice natural moments too. It’s very cheesy but I just remember being so happy, surrounded by everyone you love, I thought it would be daunting, but it was great. And all the things you think will bother you or that you’ll worry about on the day, don’t, you just don’t care about anything else that’s happening. And dancing, we spent what felt like the whole night on the dancefloor. One of Kieron’s groomsmen filmed the whole day on his Go-Pro which was so nice to have because we couldn’t really remember so much, it really does go by in a blur. We watched the ceremony and speeches a few days later and saw so many bits we’d missed. Also trust the staff - they are doing it every week so they know better than you do. I printed out a master list of the day and gave it to the staff and also my mum, the bridesmaids and groomsmen so everyone knew what was happening and we could relax. 1 Chop the celery, garlic, onion and carrots. 3 Add diced chorizo sausage - cook for 10 minutes. 4 Add chopped baby plum tomatoes. 5 And fresh brown chicken stock. 8 Cook for 35/40 minutes on a low heat. 9 Finish with lilyput capers, freshly chopped basil and butter beans. 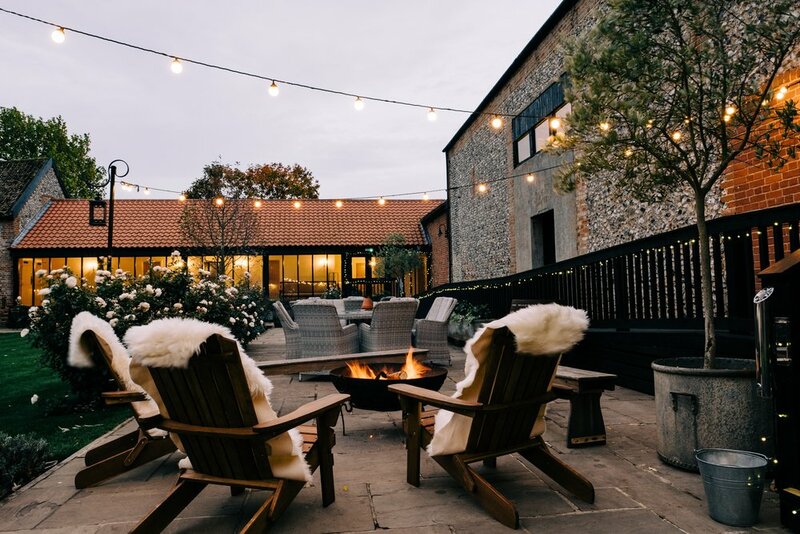 The Granary Estates is a stunning and unique conference venue located on the Suffolk and Cambridgeshire border which offers a flexible meeting space in an ideal countryside location. With two separate venues available, The Granary Estates offers choice and variety. 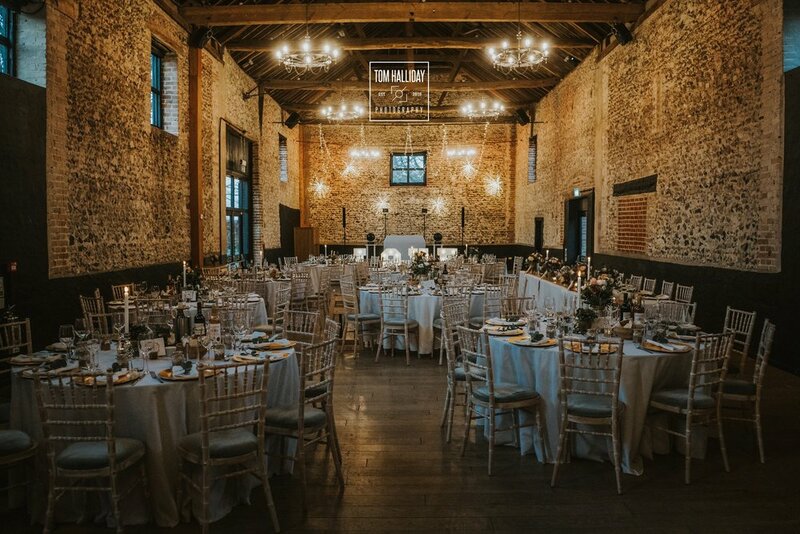 Whether you want a completely blank canvas in the shape of a 32-acre field or an 18th century flint barn with private grounds, we have a variety of options on offer to anyone looking for an events and conference venue in the Suffolk and Cambridgeshire area. 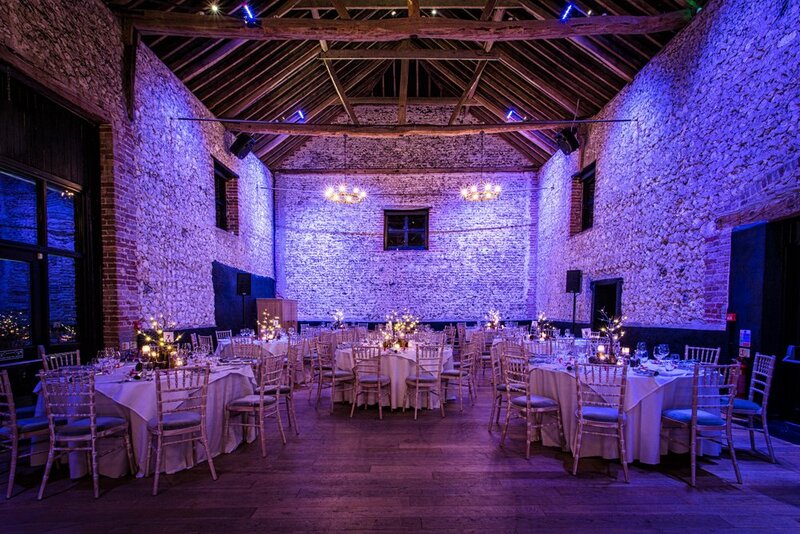 The Granary Barns offer exclusive use, with three barn spaces available in which to host your corporate function. 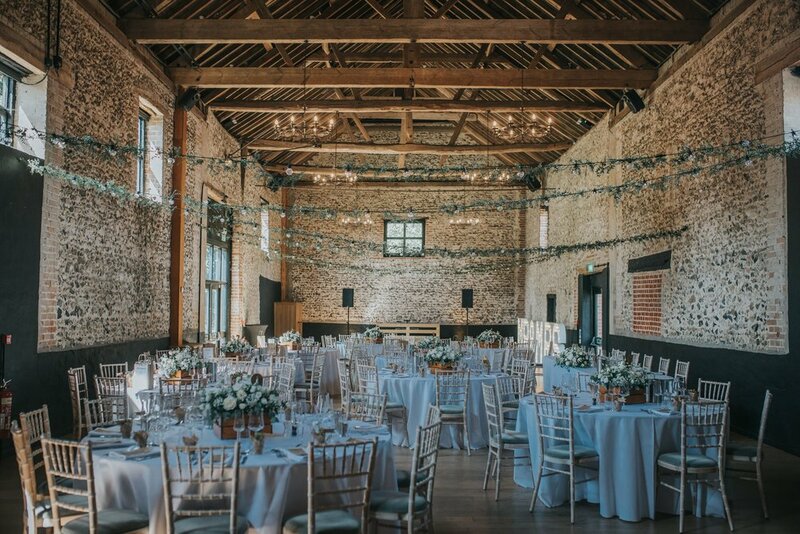 Choose from the Flint Barn, the Milling Room or the Granary Barn; all spacious and aesthetically stunning spaces which can hold delegate numbers ranging from 10 to 200. The glass walkway joining the three barns provides natural light and views of the private courtyard. The Estates alternative events venue (located in the village of Dullingham, Cambridgeshire) is the Polo Club. A large marquee or stylish tipi tent look fantastic on the grounds if required. Outdoor activities, team building and company sports days all work great at this venue on a dry hire basis. For further details on our events venues in Suffolk/Cambridgeshire, get in touch by calling 01638 731230 or email info@thegranaryestates.co.uk. Last weekend saw our January Showcase take place at The Granary Barns. 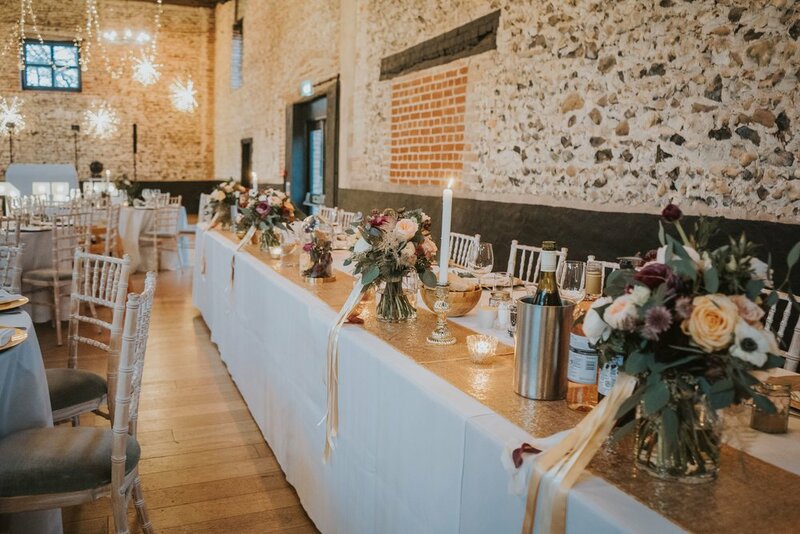 At this time of year with lots of newly engaged couples on the search for their perfect venue, we love taking this opportunity to dress our barns and show the many different ways you can have your tables and venue styled. With the help of our industry friends and Granary suppliers; Clare Jones, Tolly’s Flowers, Hall & Co. Event Design, Covers By Gill, CMA Hire and Cambridge Wedding Services, the barns looked stunning with wall to wall inspiration! As we get ready for our Showcase weekend and to meet those of you still searching for your perfect venue (exciting times! ), it’s time to take a look at what trends are expected to be big this year in the wedding industry! 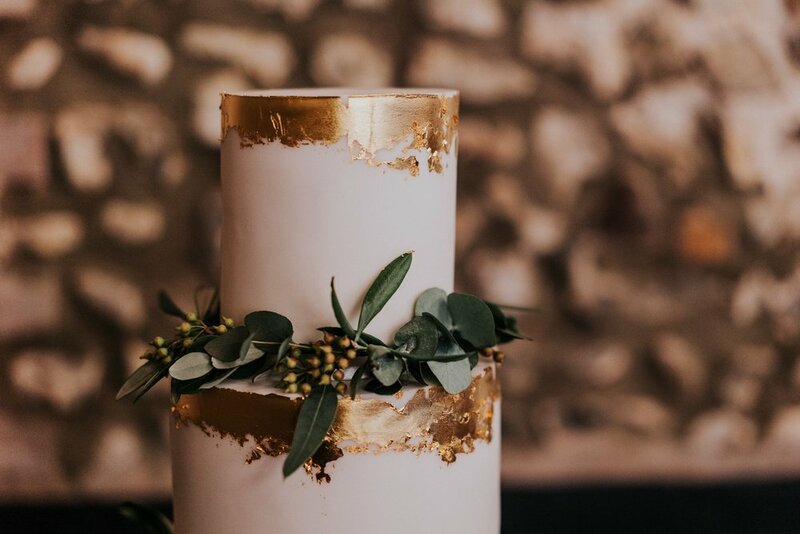 We have been looking at the wedding industries predicted trends for the coming year and are excited to see some of these make at the Granary Barns very soon! Let’s get those creative juices flowing…! Peonies - such a delicate, beautiful bloom and one which is going to be bang on trend this year. 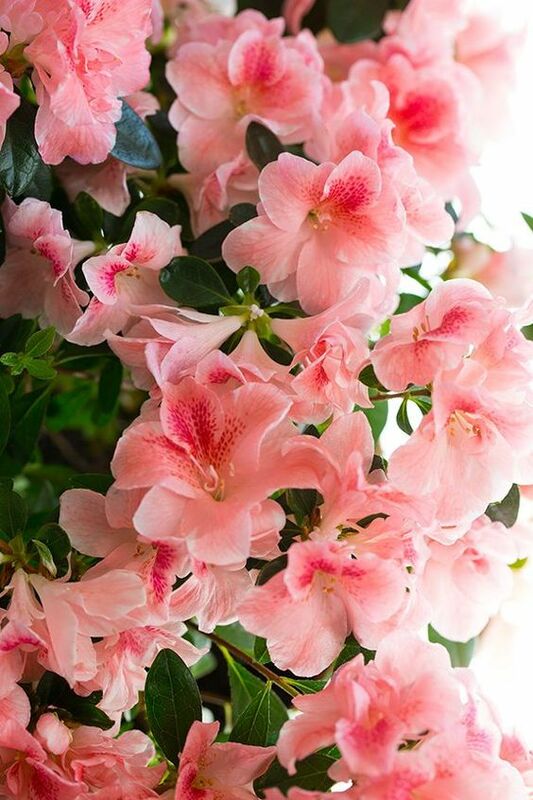 Whether its used in a bountiful bouquet or as part of your centrepieces, this is a flower which will be seen a lot during 2019 and we couldn’t be happier! As with 2018, foliage will be a favourite this year and used in a variety of gorgeous ways. 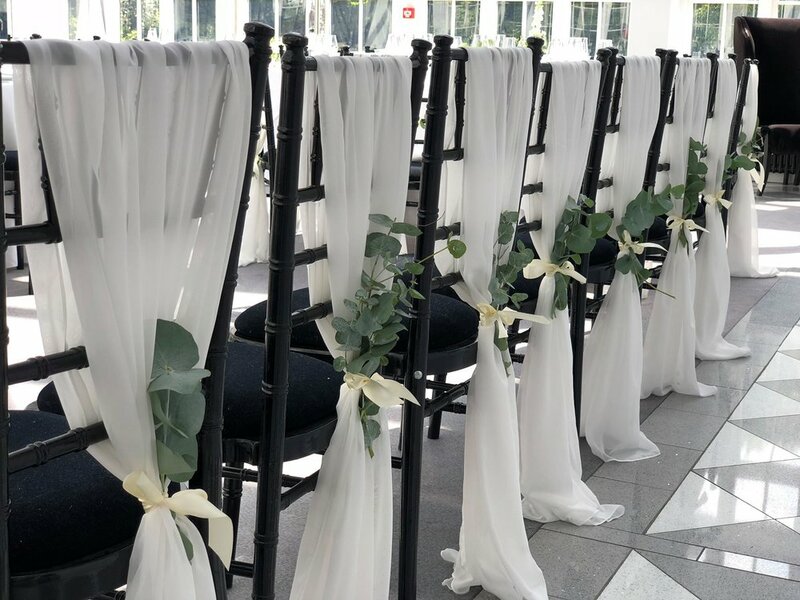 From hanging florals to table runners to food station decoration, greenery will be a great way to bring fresh, boho vibes to your big day. Dried flowers, seeds and grass such as pampas are also predicted to be popular this year. 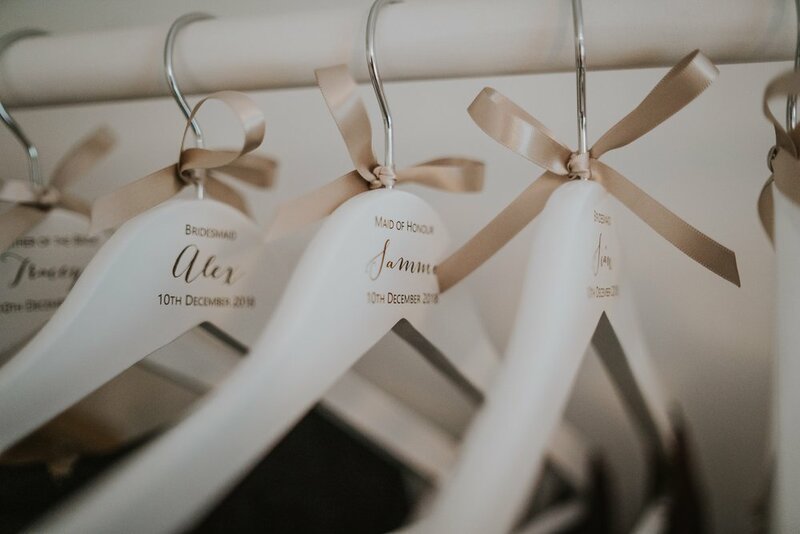 If your someone who likes to be organised, this may be the trend for you as these arrangements will be easy to create and store with lots of time to spare, and can also be reused following the day, the perfect keepsakes to hand out to your nearest and dearest. Colour choices in your wedding styling can be a big decision. They can dictate the choice of flowers you can have through to what stationery will compliment your table… the most important thing is to choose what YOU like! This years predicted colour palette consist of nudes, ice cream pastels and pops of coral. Colour blocking with a chosen colour will be a key trend to ensure bold statements and a flowing aesthetic throughout your venue styling. With two royal weddings in 2018, it was clear that this years bridal wear was going to have been influenced by ‘The Megan Effect’. 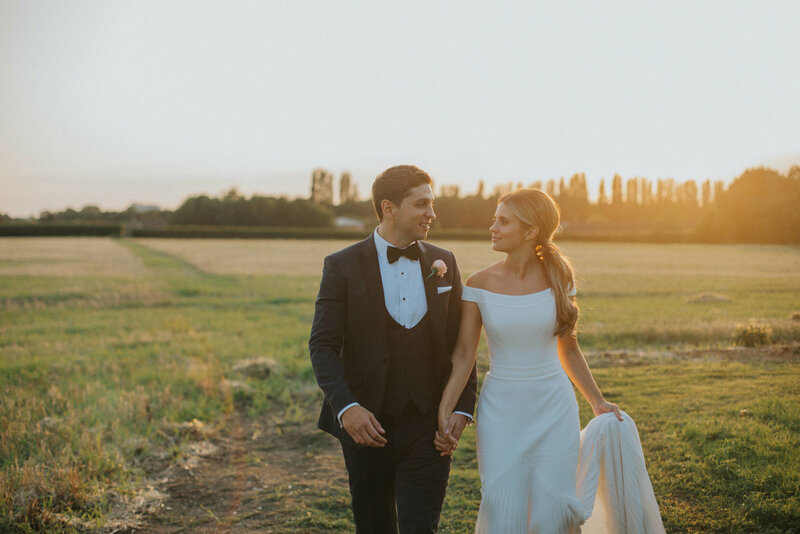 Simple, elegant gowns are the popular choice following the May nuptials of Prince Harry and Meghan Markle and we are big fans! With additional features such as oversized bows or deep pockets, this seasons newest trend won’t be for everyone but is a statement piece for those who prefer the clean, minimal look. 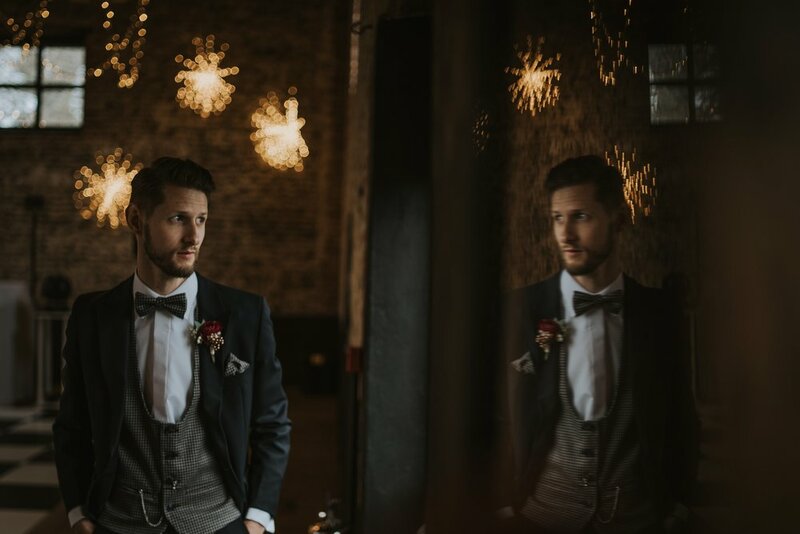 Three piece suits are back on trend and are sure to make you and your groomsmen feel special on the big day. By mixing textures and patterns or adding a dazzling pocket watch, you can really make your suit personal to you. 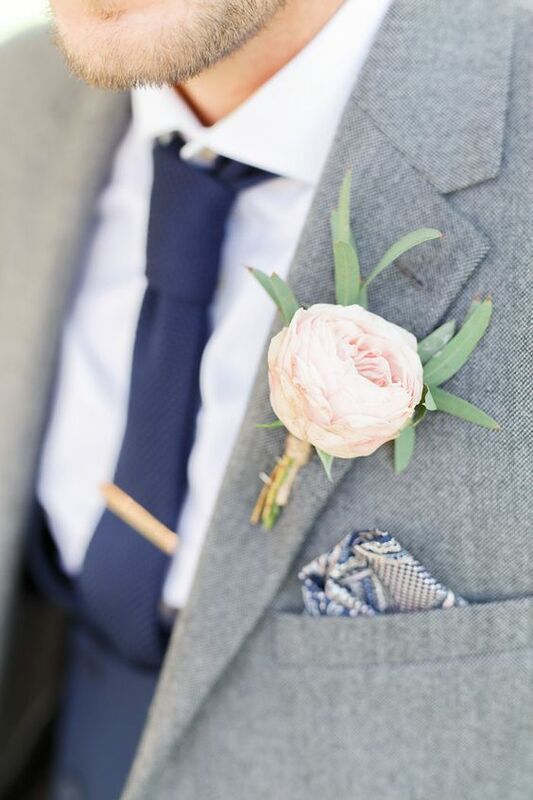 As always, the addition of a pocket square or button-holes can help to bring in the flowers and tie in the wedding styling for that finishing touch. Bronzed and brushed metal cutlery are also on this years most desirable pieces of tableware so keep an eye out for these! Wedding stationery is something which is a personal choice, some put a lot of thought into this whilst others decide not to have any at all! If you are a stationery lover (like us), minimal designs and pastel shades of card are predicted to be a hit this summer. 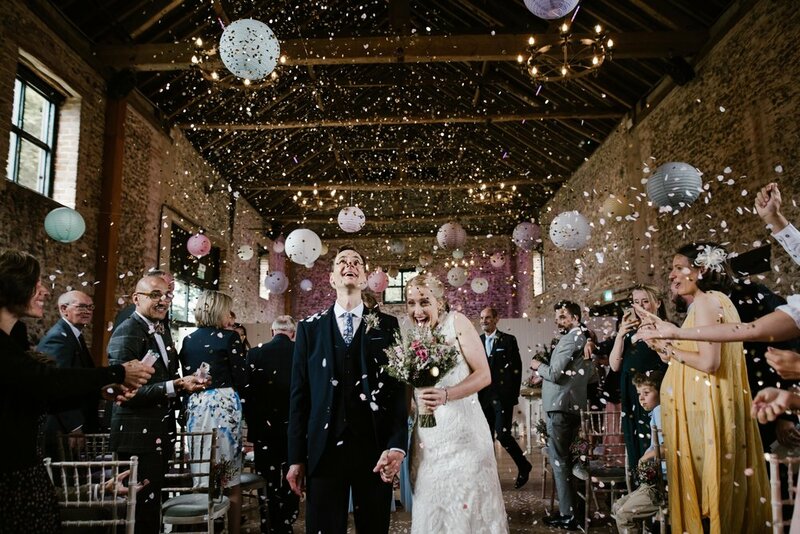 The wedding industry has seen a growth in more diverse and interesting venues over the past few years, with barns, historic and industrial spaces proving very popular. This year, ‘bringing the outdoors in’ will continue to be a prominent theme, contrasting clean, modern lines with the outdoors and nature. 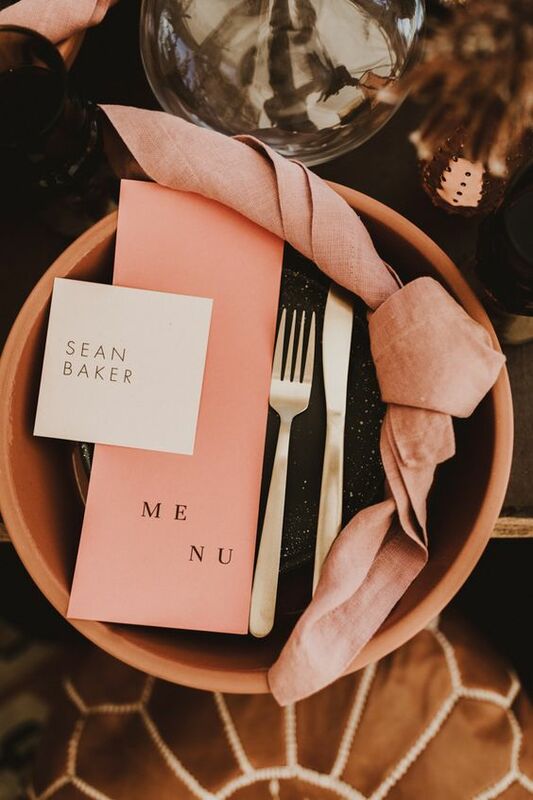 Much like in 2018, as couples are getting more creative with their big day, so has the food options available to them. 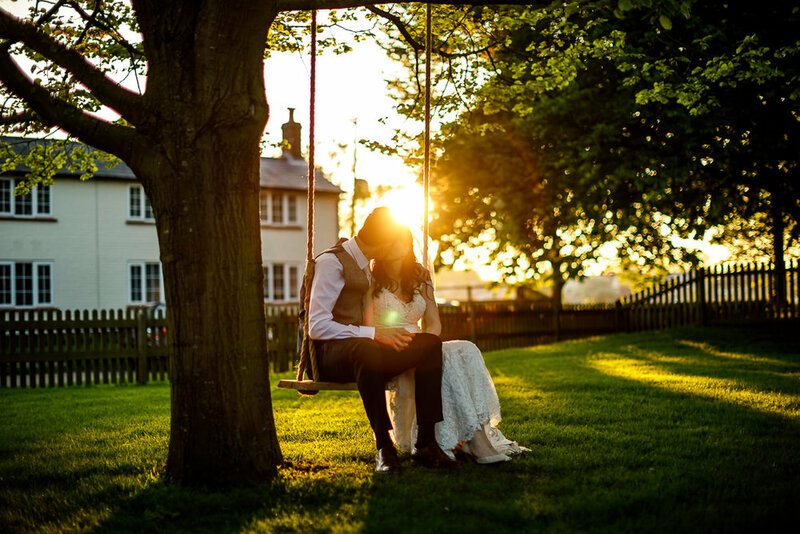 Three course meals, barbecues, food stalls, sharing platters - the list of options available is at its most varied and we find that couples are taking more control of what they would like served to their loved ones. 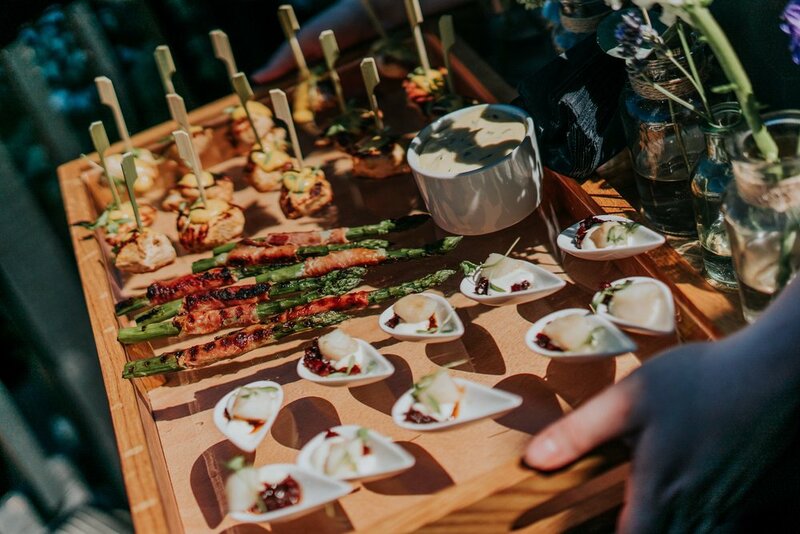 For 2019, grazing stations, sharer boards and comfort foods (like mac’n’cheese, sausage & mash) are all looking to be very popular and we cant wait to see what our catering teams cook up during the next 12 months! YUM! BUT THE THING TO REMEMBER IS…. 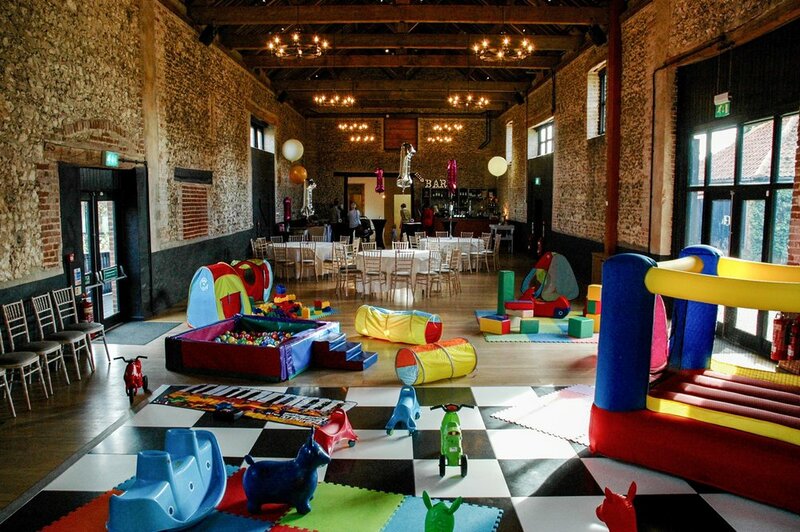 Every wedding that is held here at The Granary Barns or at The Polo Club is unique. 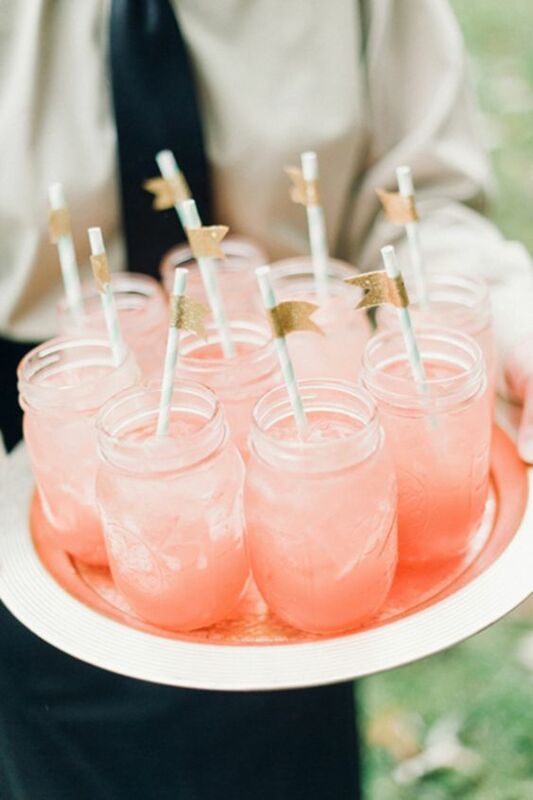 Even though every wedding season comes with many beautiful trends, our advice is always to go with your heart and make the day personal to you! Don't get caught up in spending too much money on things you don't really want (which is easy to do) and stick to your guns - it's YOUR day and we are here to make it special for YOU! 2018 has been AMAZING at The Granary Estates! Here we take a look back at just some of the memories that have been made under our timber beams and a reminder of why we do what we do. 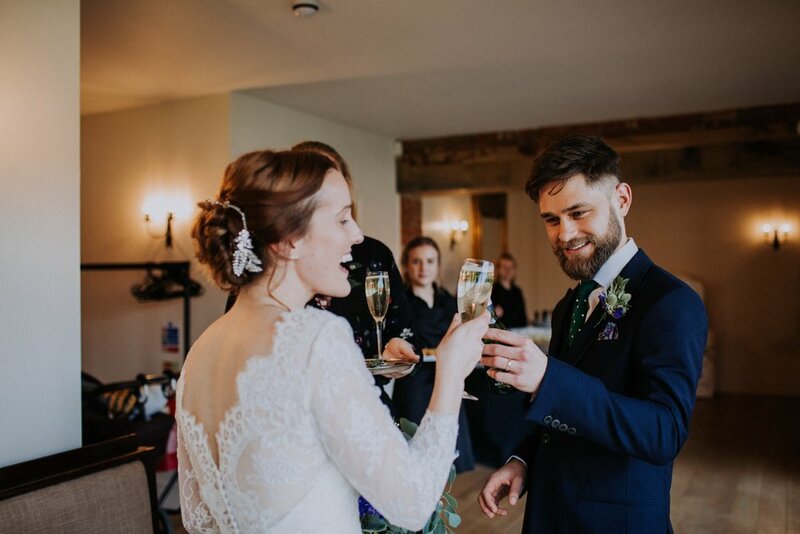 With another full and varied year ahead, we are going to take the time on New Years Day to relax and unwind before we are back in the Estates Office and ready to crack on with more weddings, events and celebrations throughout 2019! It’s been a privilege to work with you all this year, whether that has been as a supplier, a host, one of our many wonderful couples or corporate clients - we hope you all have a great night tonight and a happy, healthy and prosperous New Year. Christmas Time with the GG's! As we rapidly approach Christmas day and the chance to eat as much as we like, we thought we should take a few moments to ask our team at the Granary what it is they love about the festive season…..and last but not least, our Operations Director, Amy! What’s your favourite thing about Christmas? What’s the best/worst present you’ve ever received? Best - Three years ago, my brother flew home from Australia, and I hadn’t seen him for two years. We had a big family Christmas at ours, and that was really special. Last year me and Mills got matching Barbour jackets 😉 , which was a close second! Worst – We were having our en-suite renovated last year and two days before Christmas our builders left, my husband was working late and came home to find the house completely flooded. We had a faulty tap. It was an absolute nightmare, but the show went on and we hosted for 10 guests! We laugh about it now!! Do you have any traditions that you do every year? It’s my northern family’s tradition to have hot beef and gravy rolls with chips on Boxing day. It’s a great hangover cure and usually enjoyed in PJ’s watching Christmas movies! No calorie counting that day. Favourite food to eat at Christmas? Christmas eve – in or out? In an ideal world, it’s a dog walk with Mills and then a bottle of red in a village pub with Hughesy, before coming home to chill. In reality I have usually travelled back to Birmingham with a car full of unwrapped presents, so spend the eve rushing around trying to get organised! Christmas jumpers – yes or no? Yes, I treat myself every year! 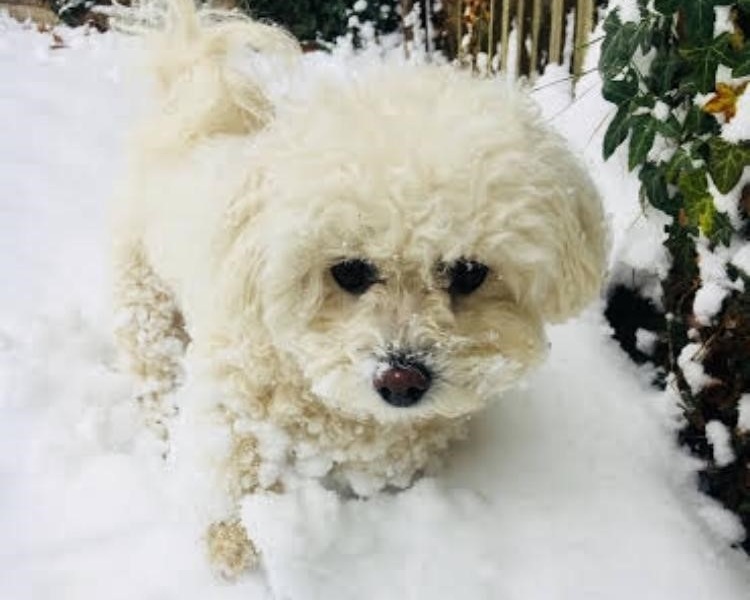 Christmas day – up early or prefer a lie in? 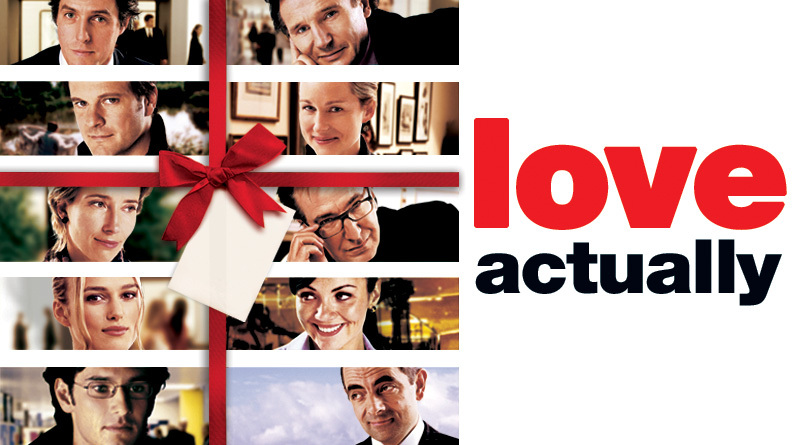 Love Actually or The Holiday. HAVE A WONDERFUL CHRISTMAS AND NEW YEARS EVERYONE! As we rapidly approach Christmas day and the chance to eat as much as we like, we thought we should take a few moments to ask our team at the Granary what it is they love about the festive season…..here’s our Marketing Manager, Lynne! Even though I’m normally a Cadburys girl, it’s Quality Streets all the way at Christmas time! A bit of both! I normally try and go out early with friends and finish up having a drink with family in the evening. I love Christmas dinner, but it’s got to be the Boxing Day spread that I look forward to the most - my Grandma’s ‘Christmas Soup’ recipe with fresh, crusty bread is the highlight for sure! 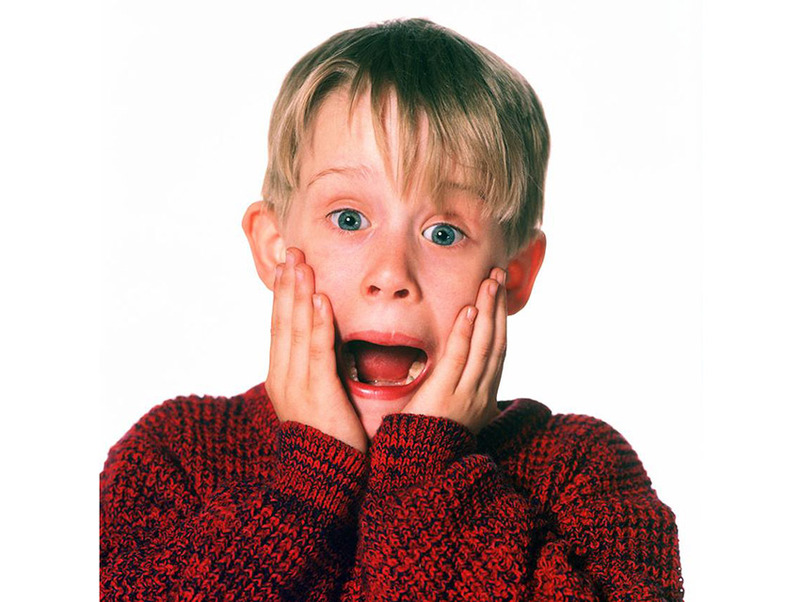 Home Alone - its not Christmas if I haven’t watched 1 & 2!